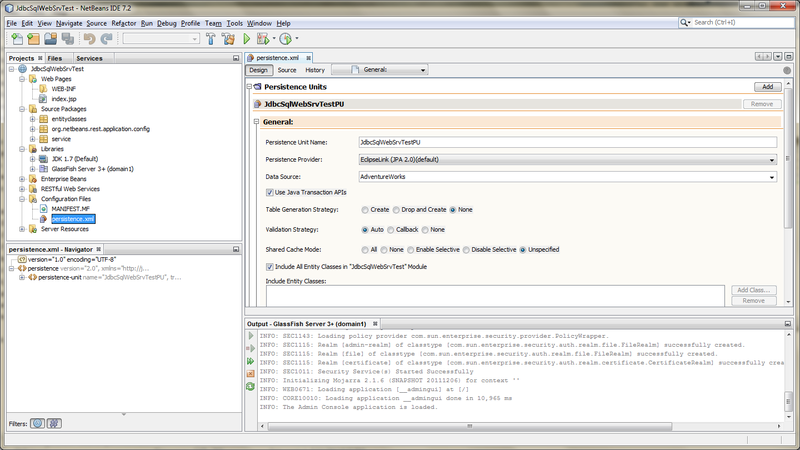 Connecting Java EE RESTful web services, hosted on GlassFish, to Microsoft SQL Server – a high level overview. 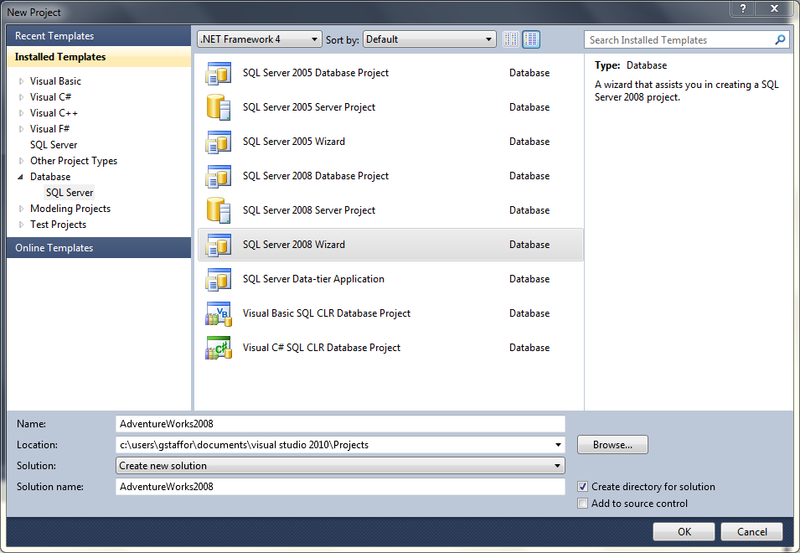 Demonstrate the creation of a Web Application project in NetBeans, including a SQL Server data source, entity classes from a SQL database, and RESTful web services. 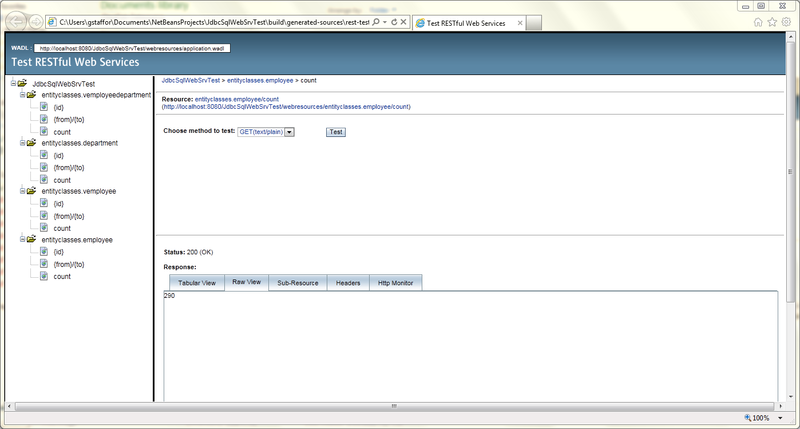 Show how to test and deploy the project to GlassFish. 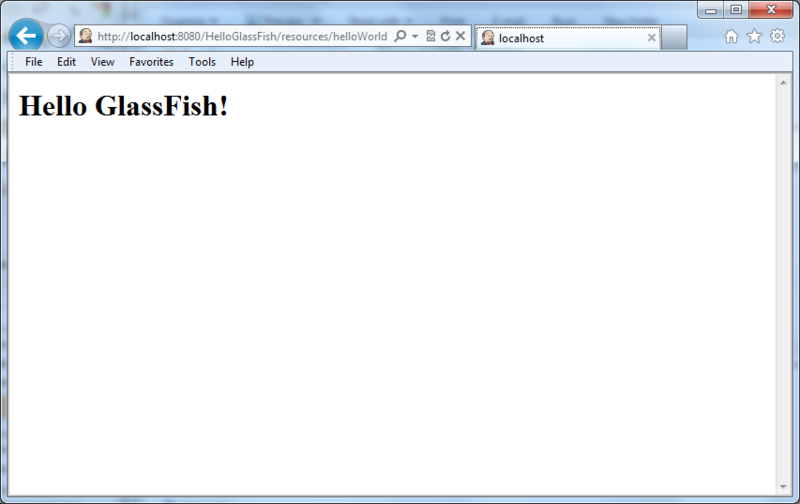 Test the RESTful Web Services locally in NetBeans, and once deployed, in GlassFish. 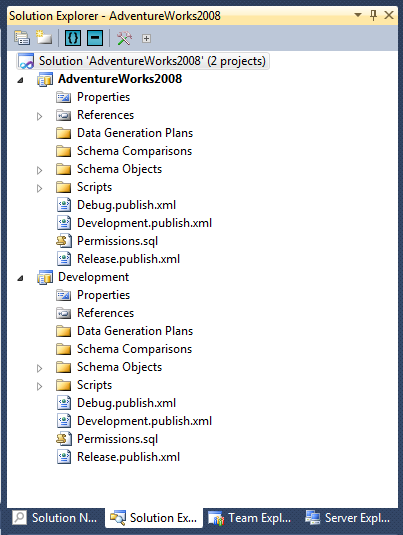 If you have any questions about installing and configuring the Adventure Works database, please refer to my post, Convert VS 2010 Database Project to SSDT and Automate Publishing with Jenkins – Part 1/3. 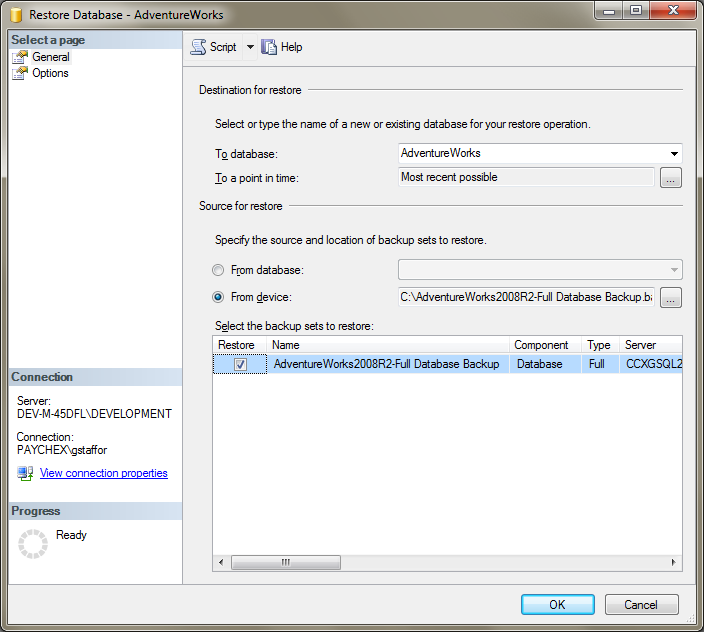 The post takes you through creating a SQL Server 2008 R2 instance (entitled ‘Development’), installing the Adventure Works database, and creating a database user (‘aw-dev’). 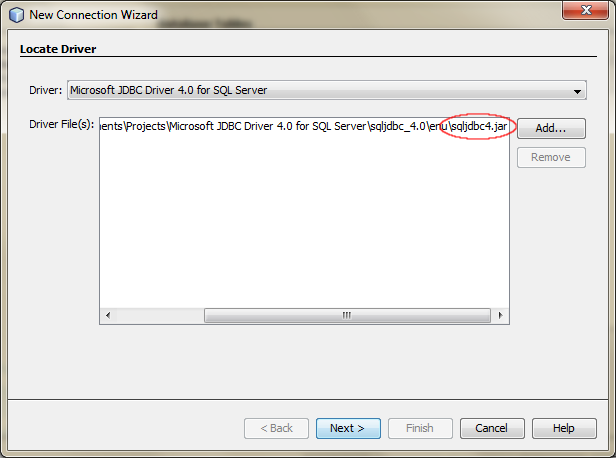 Also, refer to my earlier post, Connecting Java EE to SQL Server with Microsoft’s JDBC Driver 4.0, for directions on installing the Microsoft JDBC driver in the lib directory of GlassFish. This is necessary before following along with this demonstration. 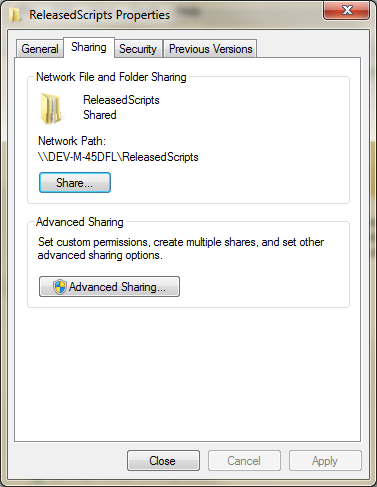 Note, since I have NetBeans, SQL Server, and GlassFish all installed on a single computer, the URLs in several of the screen-grabs switch between ‘localhost’ and my computer’s actual name. Both references are interchangeable. 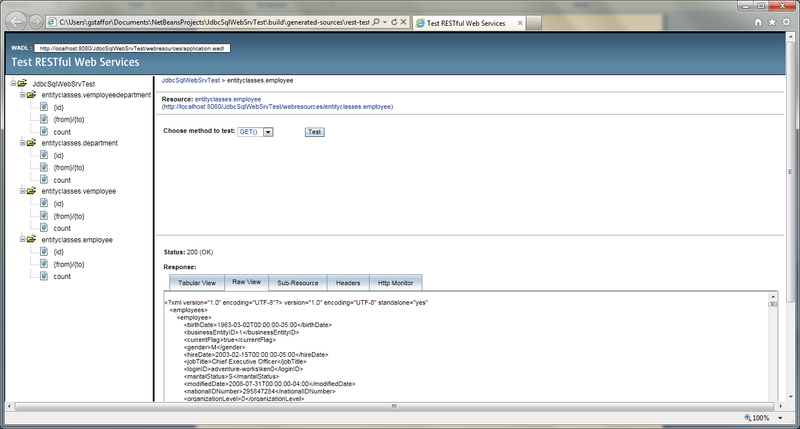 Test the web services on GlassFish. 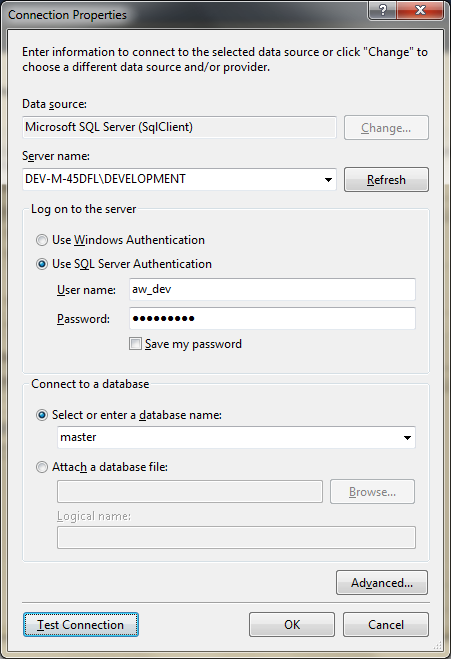 Using Microsoft’s SQL Server Management Studio, Quest’s Toad for SQL, or similar IDE, confirm the ‘Development’ instance (or whatever you have named your instance) of SQL Server 2008 R2 is running. 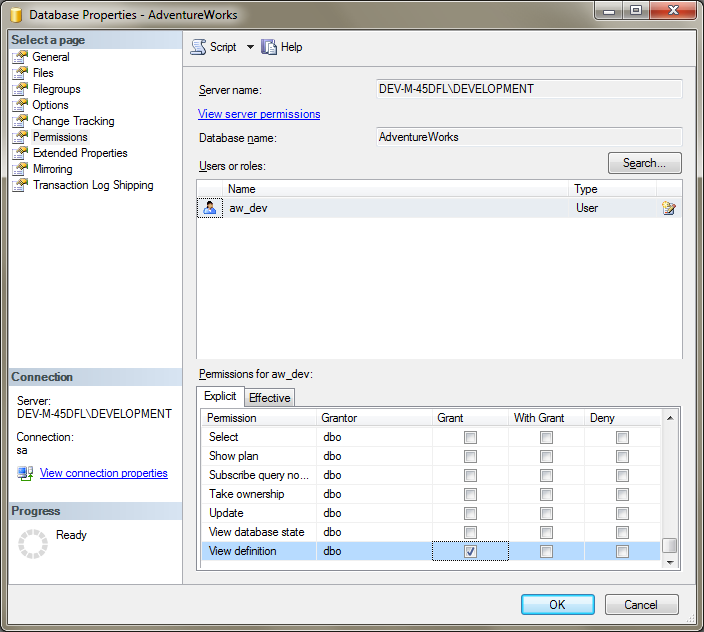 Confirm the Adventure Works database is installed in that instance. 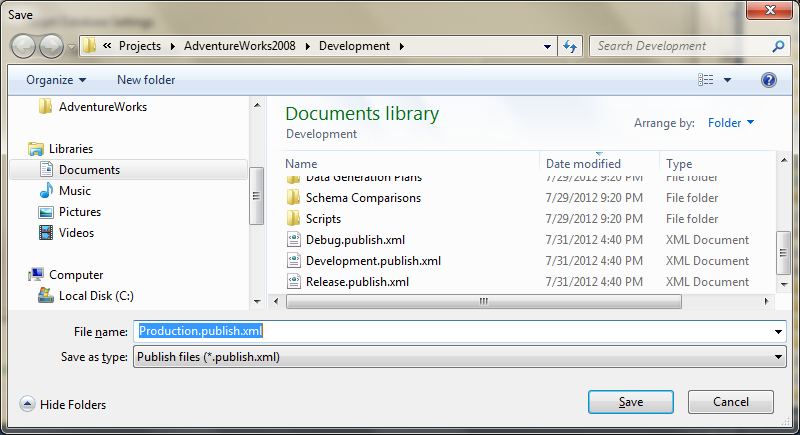 Lastly, confirm the ‘aw_dev’ user can connect to the Adventure Works database and view and interact with all the database objects. 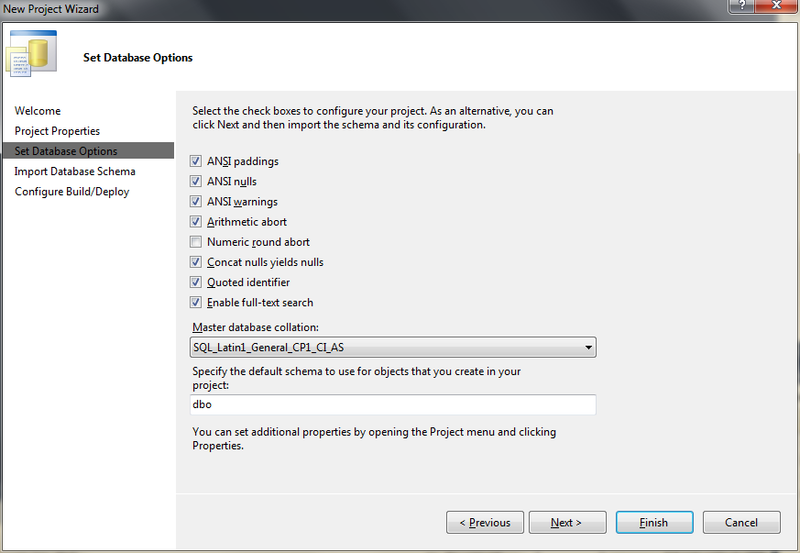 Confirming these items will elevate many problems you might otherwise encounter when creating the data source, next. 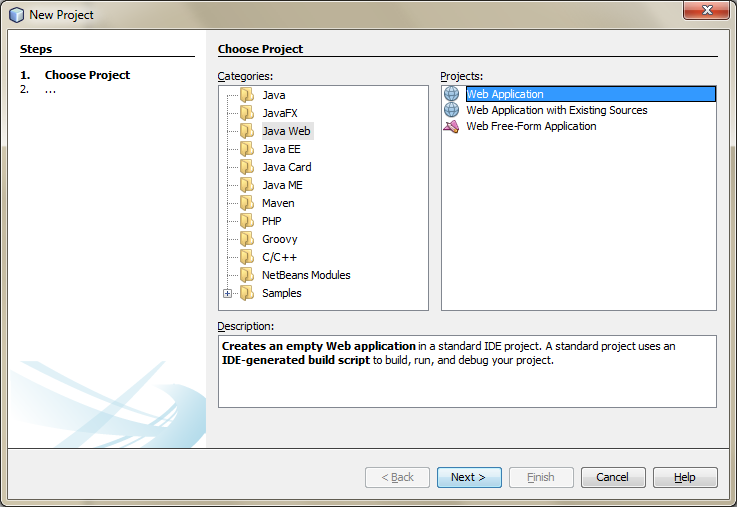 Create a new Java Web Application project in NetBeans. 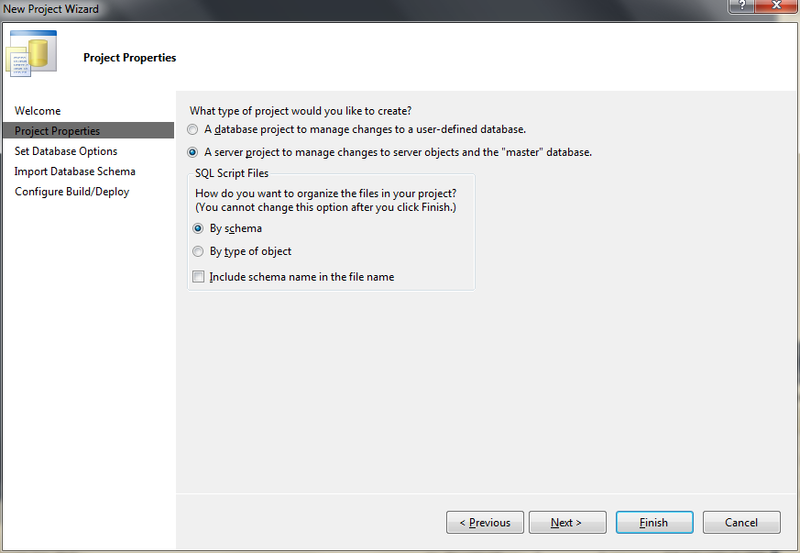 Name the project whatever you would like; I named mine ‘JdbcSqlWebSrvTest’. 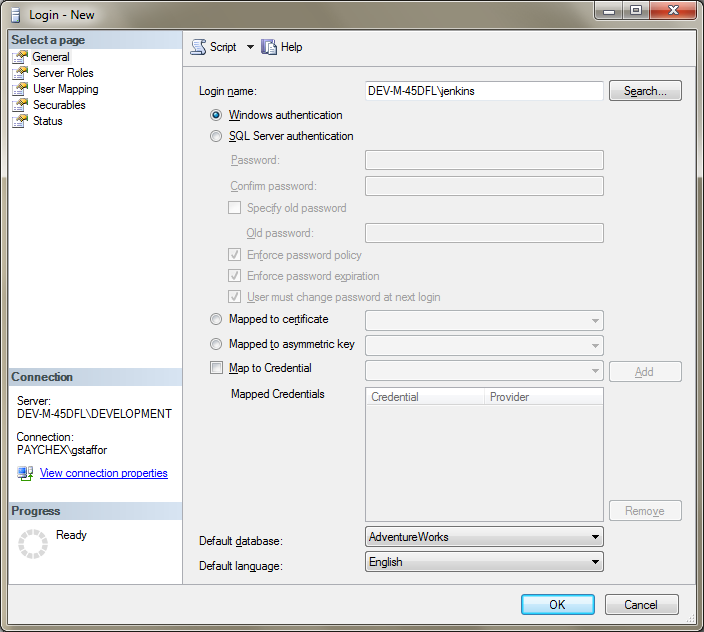 Select the correct GlassFish server instance and GlassFish domain where the project will be deployed. 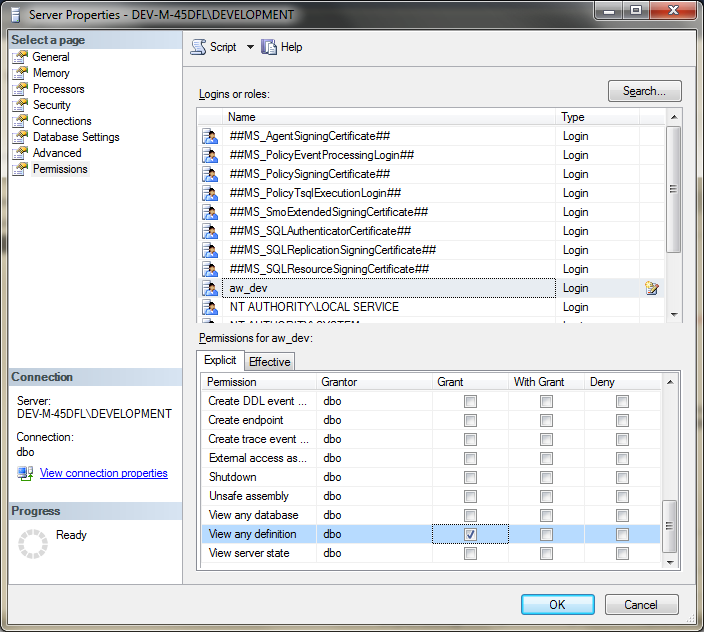 I am deploying my project to the default ‘domain1’ domain. Right-click on the project again and select ‘New’ -> ‘Other…’. From the list of Categories, select ‘Persistence’. 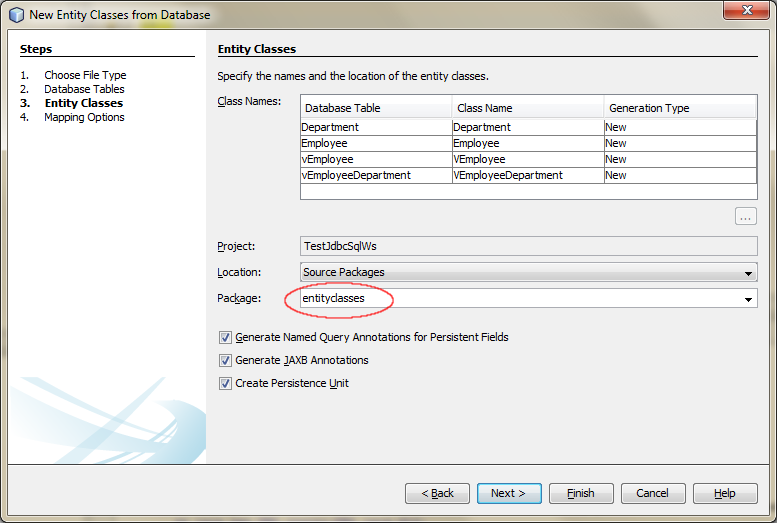 From the list of Persistence choices, choose ‘Entity Classes from Database’. Click Next. 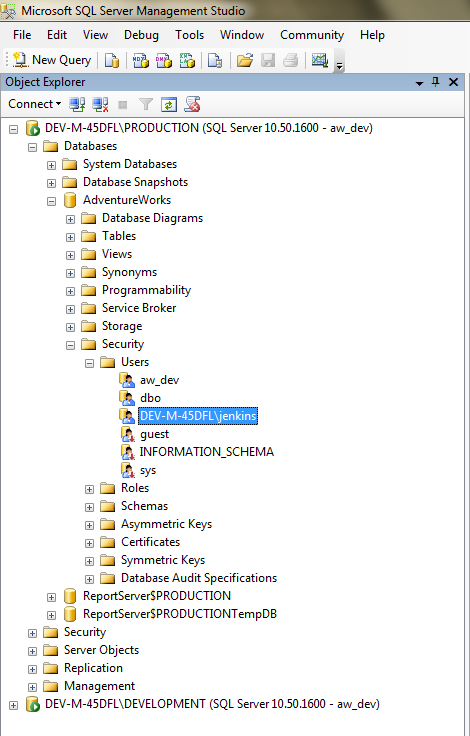 Before we can choose which database tables we want from the Adventure Works database to create entity classes, we must create a connection to the database – a SQL Server Data Source. 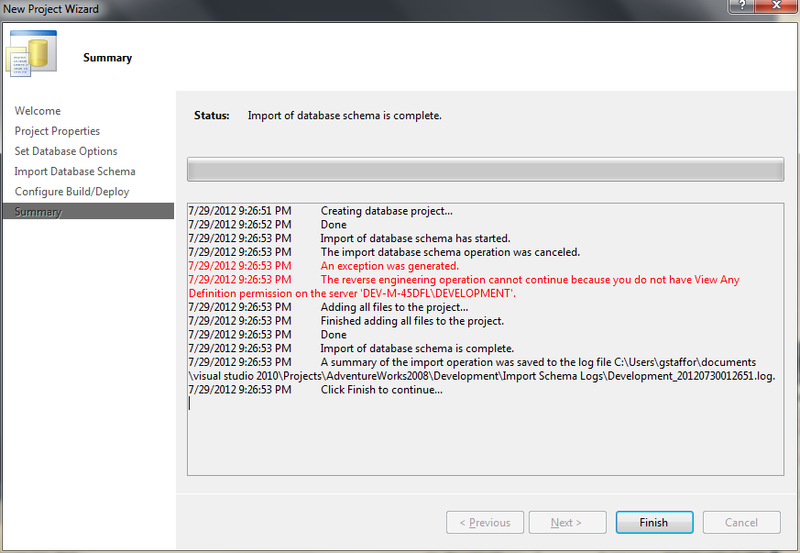 Click on the Data Source drop down and select ‘New Data Source…’. 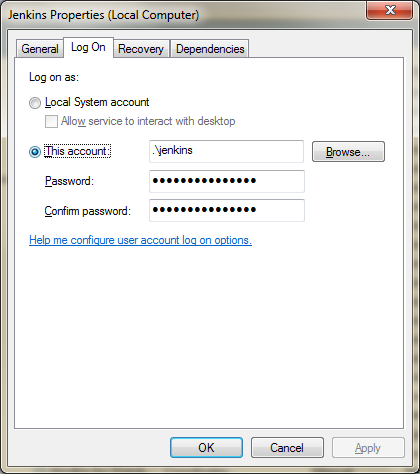 Give a Java Naming and Directory Interface (JNDI) name for the data source. 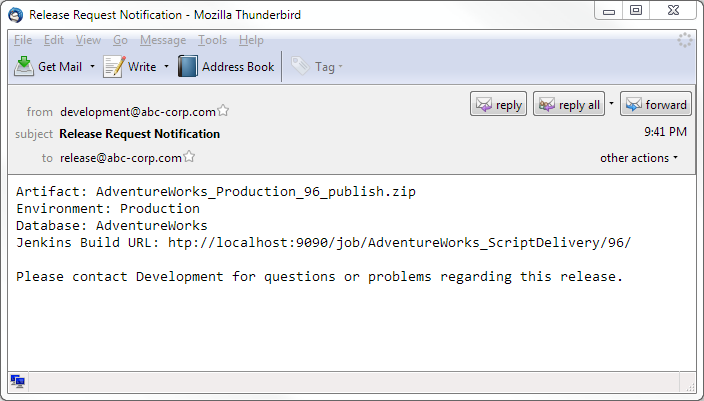 I called mine ‘AdventureWorks’. 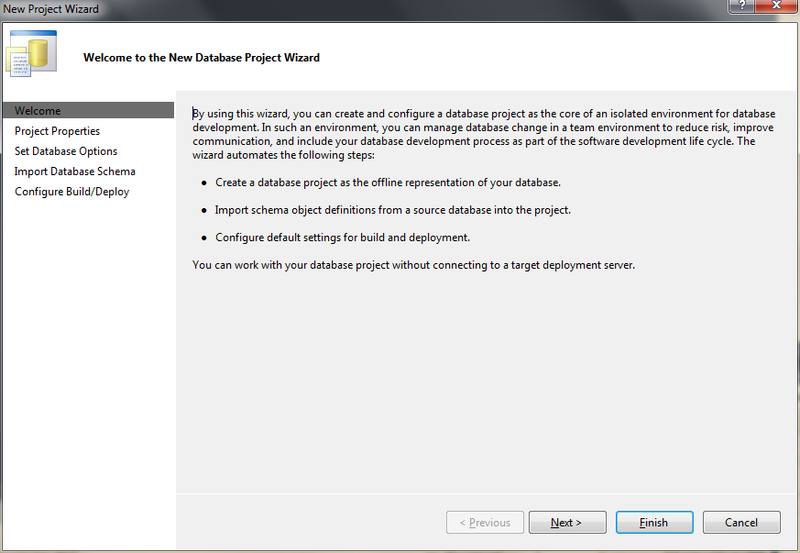 Click on the ‘Database Connection’ dropdown, select ‘New Database Connection…’. 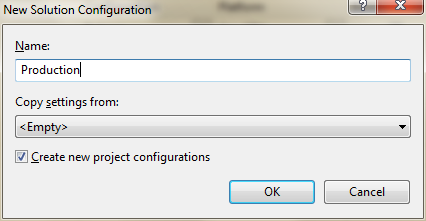 This starts the ‘New Connection Wizard’. 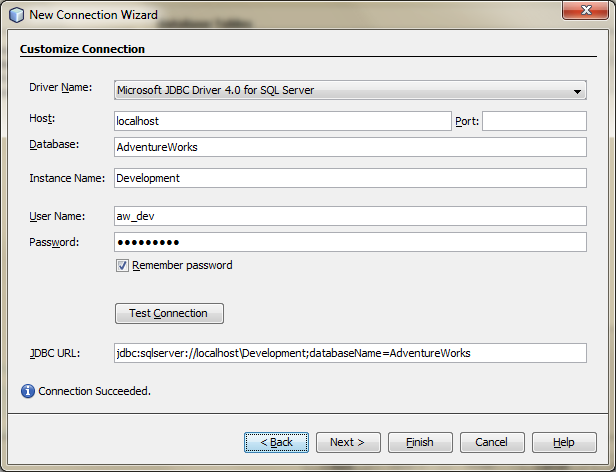 The first screen, ‘Locate Driver’, is where we point the will instruct NetBeans to use the Microsoft JDBC Driver 4.0 for SQL Server Driver. 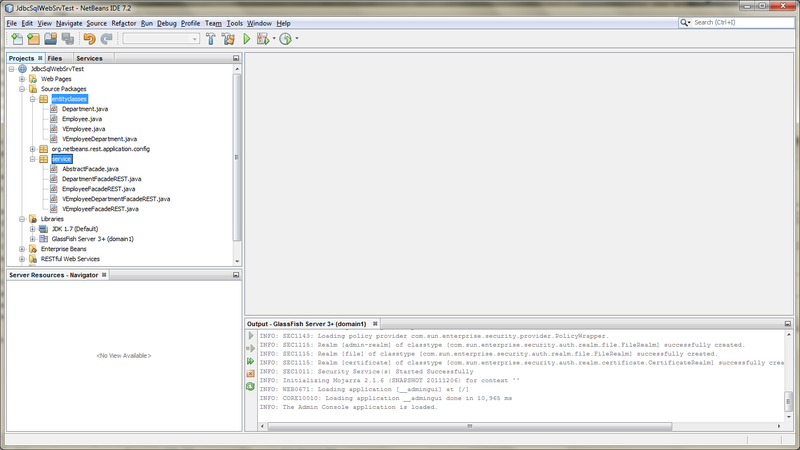 Locate the sqljdbc4.jar file. 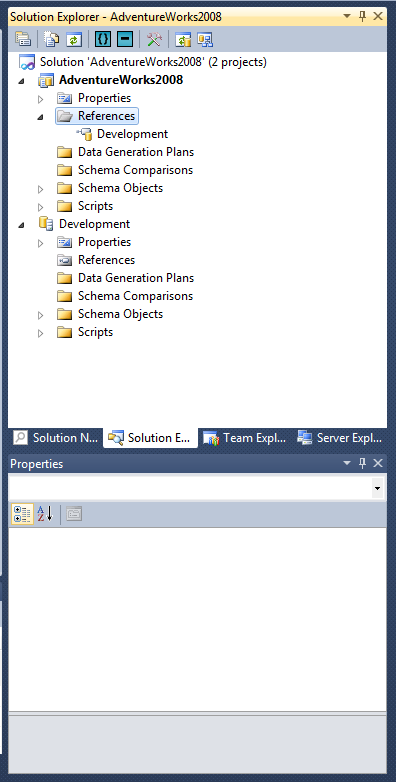 On the next screen, ‘Customize the Connection’, input the required SQL Server information. 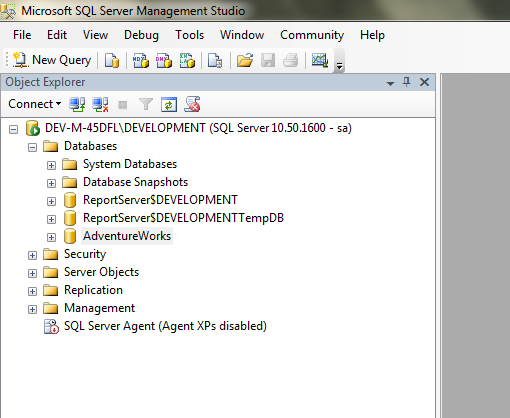 The host is the machine your instance of SQL Server is installed on, such as ‘localhost’. 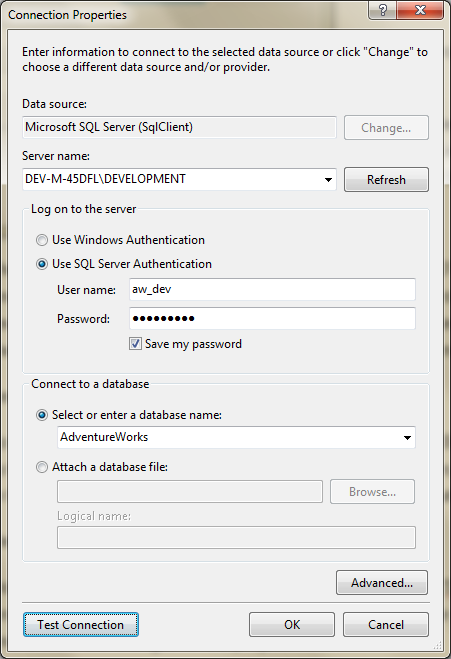 The instance is the name of the SQL Server instance in which the Adventure Works database is installed, such as ‘Development’. 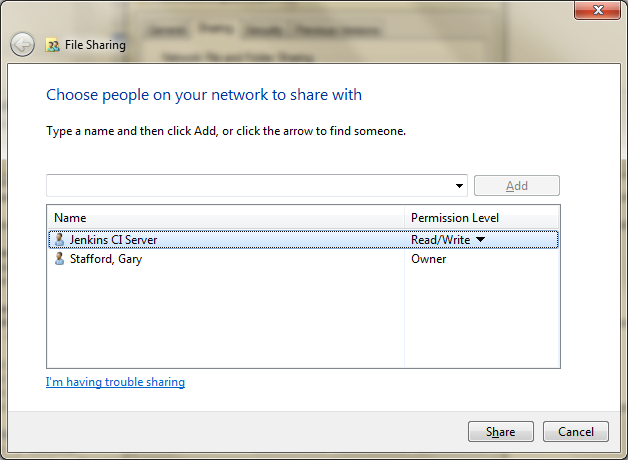 Once you complete the form, click ‘Test Connection’. If it doesn’t succeed, check your settings, again. 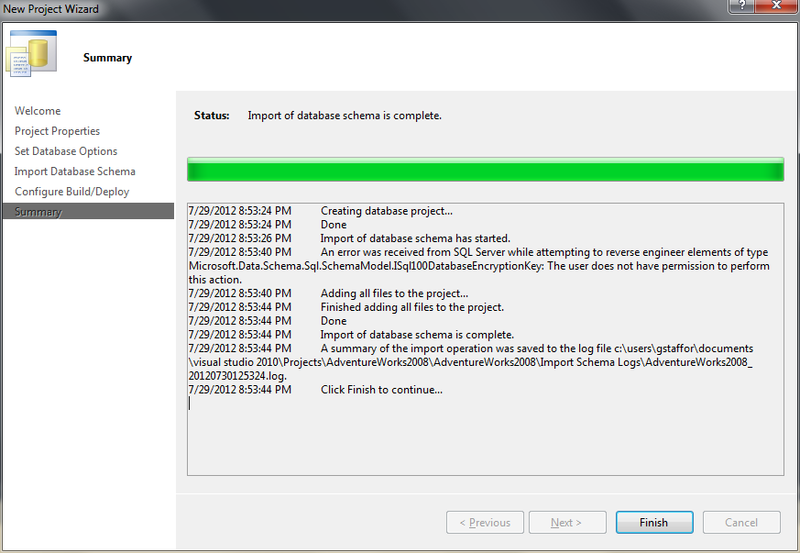 As I mentioned in an earlier post, the SQL Server Data Source forces you to select a single database schema. 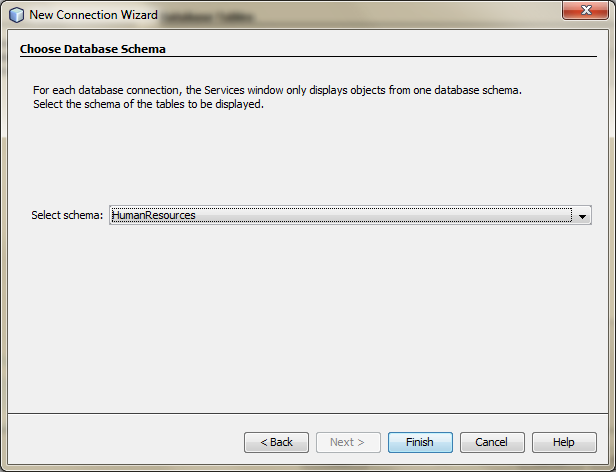 On the ‘Choose Database Schema’ screen, select the ‘HumanResources’ schema. 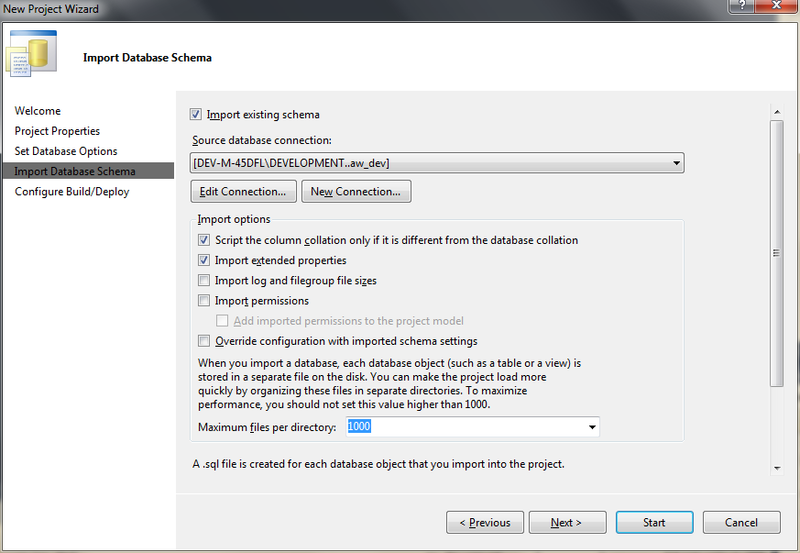 The database tables you will be able to reference from you entity classes are limited to just this schema, when using this data source. 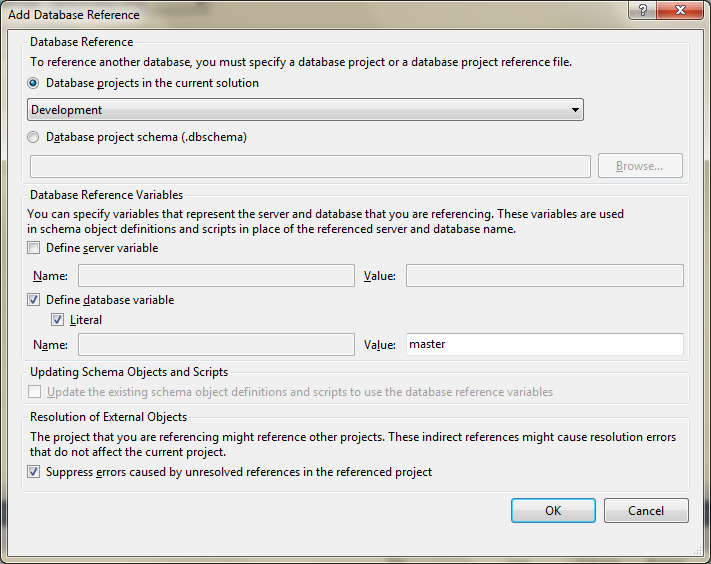 To reference other schemas, you will need to create more data sources. 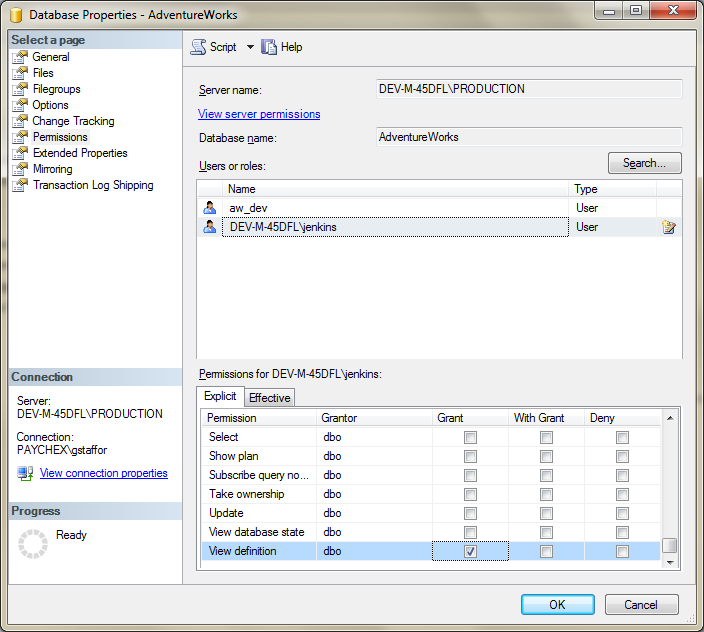 Back in the ‘New Entity Classes from Database’ window, you will now have the ‘AdventureWorks’ data source selected as the Data Source. 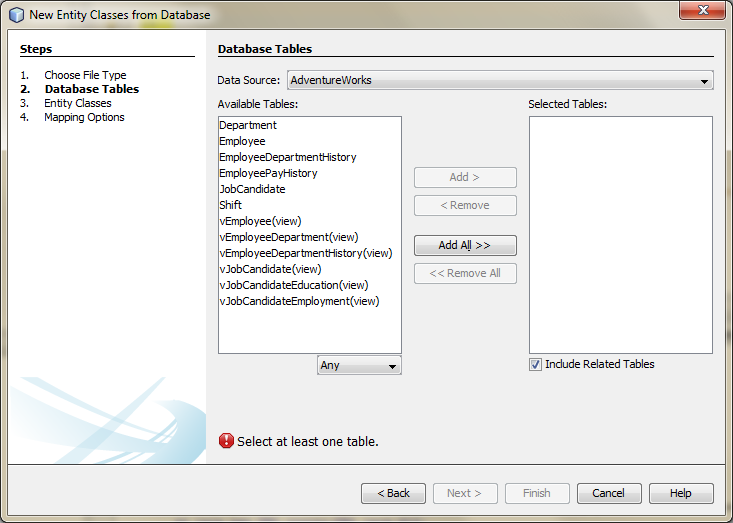 After a few seconds of processing, all ‘Available Tables’ within the ‘HumanResources’ schema are displayed. 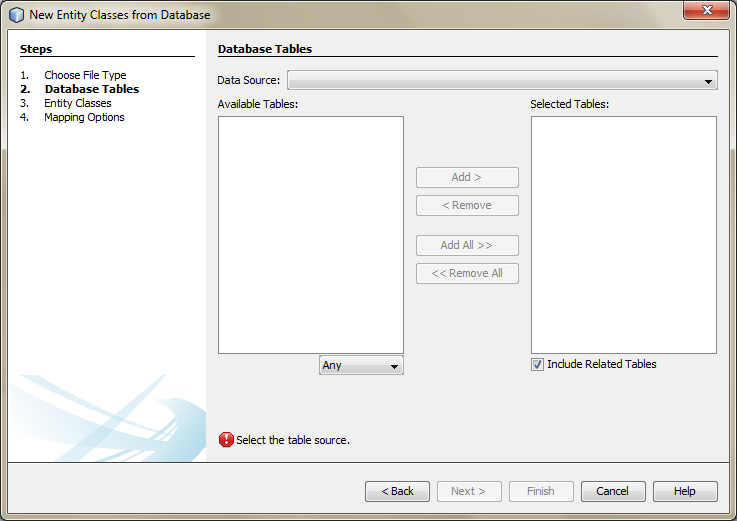 Choose the four tables shown in the screen-grab, below. 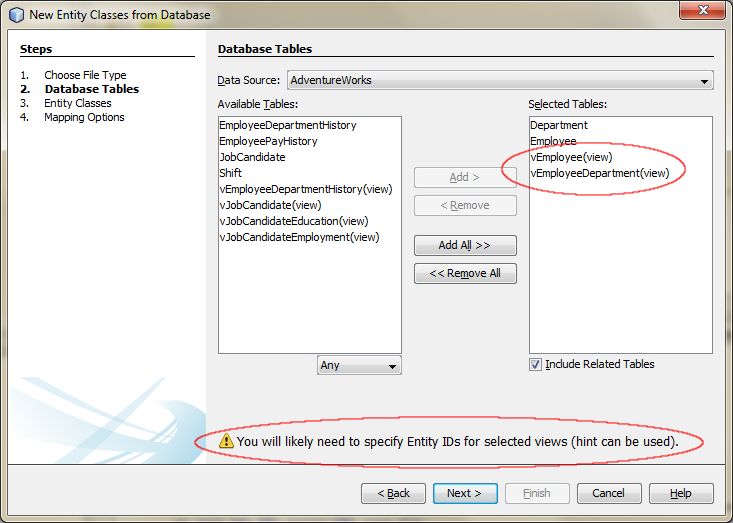 Actually, two are database tables and two are virtual tables, called database ‘views’. 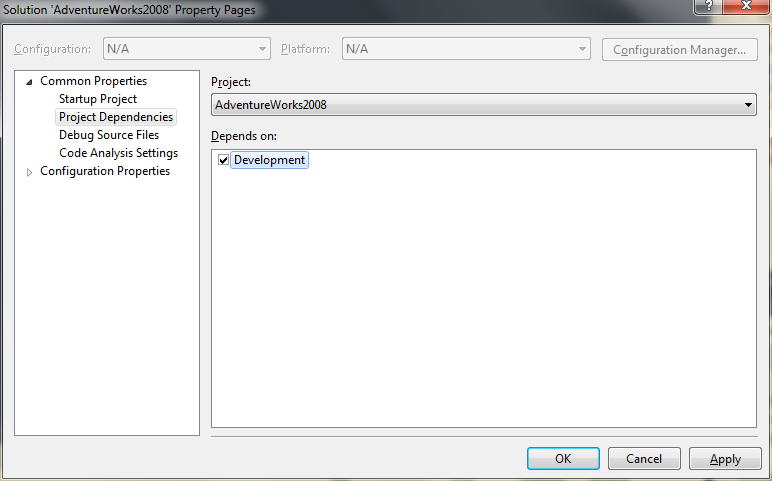 We will need to do an extra step later on, to use the two entity classes built from the database views. 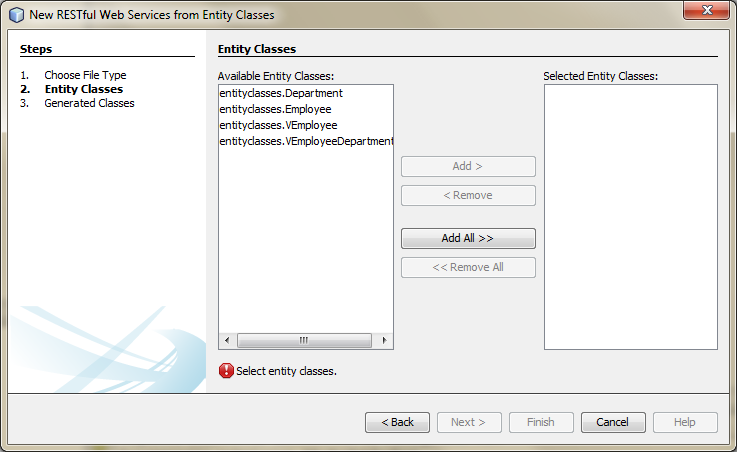 On the next screen, ‘Entity Classes’, in the ‘New Entity Classes from Database’ window, give a package name to place the individual entity classes into. I chose to call mine ‘entityclasses’. 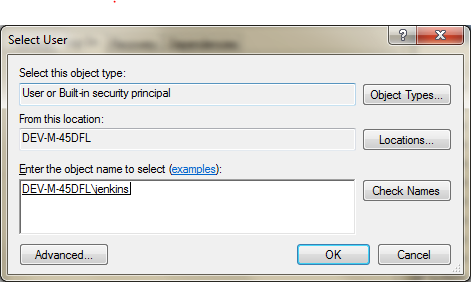 On the next screen, ‘Mapping Options’, choose ‘Fully Qualified Database Table Names’. 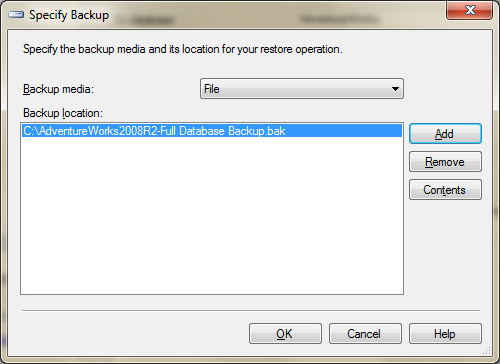 Without this option selected, I have had problems trying to make the RESTful web services function properly. This is also the reason I chose to create the entity classes first, and then create the RESTful web services, separately. 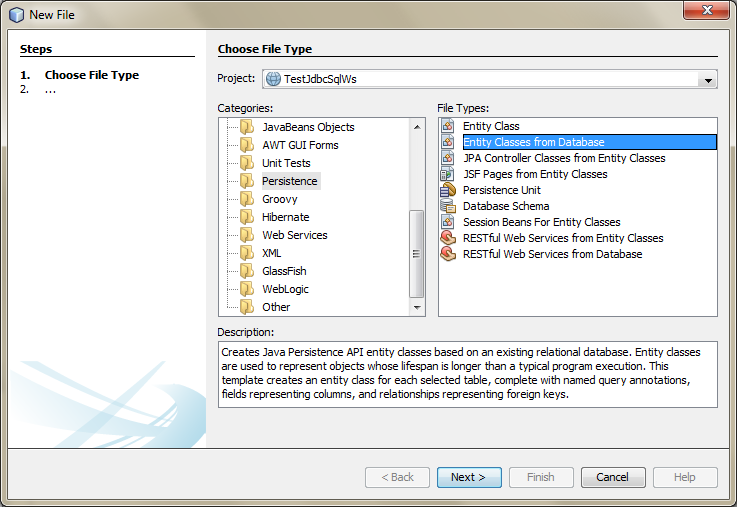 NetBeans has an option that combines these two tasks into a single step, by choosing ‘RESTful Web Services from Database’. 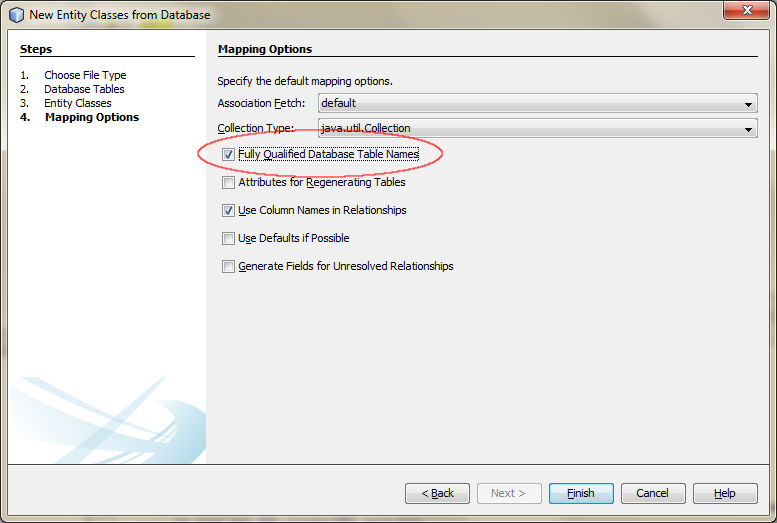 However, the ‘Fully Qualified Database Table Names’ option is not available on the equivalent screen, using that process (at least in my version of NetBeans 7.2). I prefer the two-step approach. Click finished. 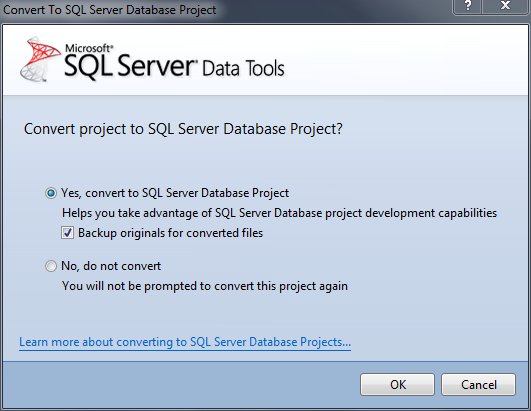 You have successfully created the SQL Server data source and entity classes. 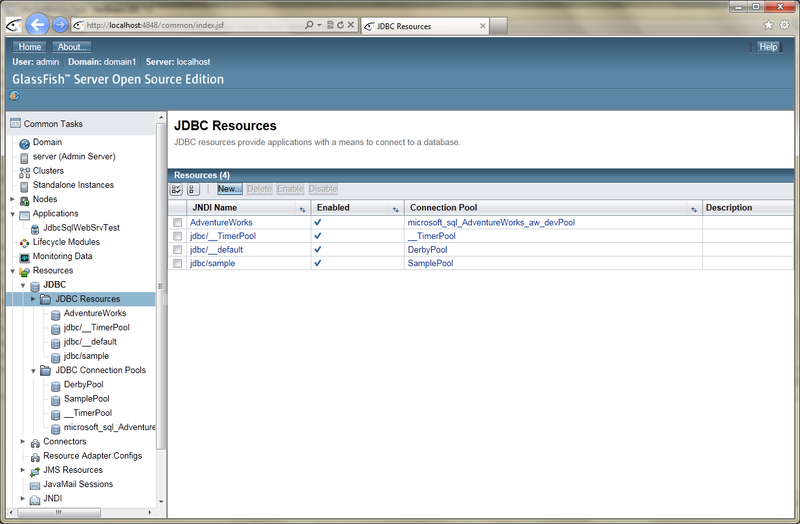 The data source we created, which will be deployed to GlassFish, is referred to as a JDBC Resource and a JDBC Connection Pool. 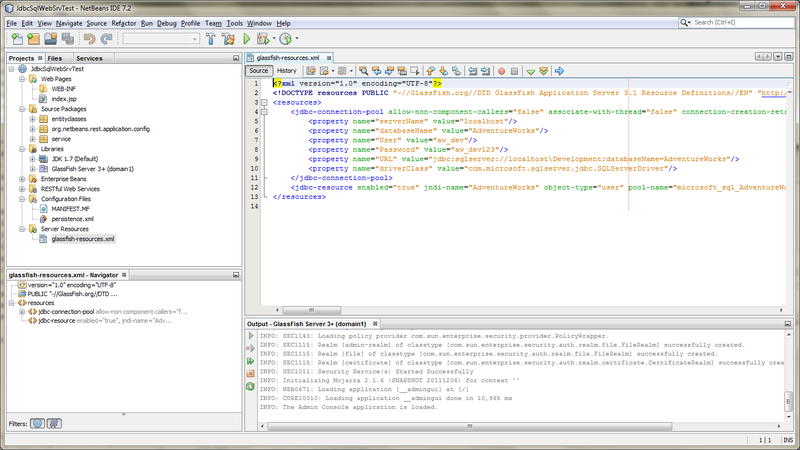 This JDBC information is stored in the ‘glassfish-resources.xml’ file by NetBeans. The JPA Persistence Unit is found in the ‘persistence.xml’ file in the ‘Configuration Files’ folder. This file describes the Persistence Unit (PU). The PU serves to register the project’s four persistable entity classes, which are referred to by JPA as managed classes. 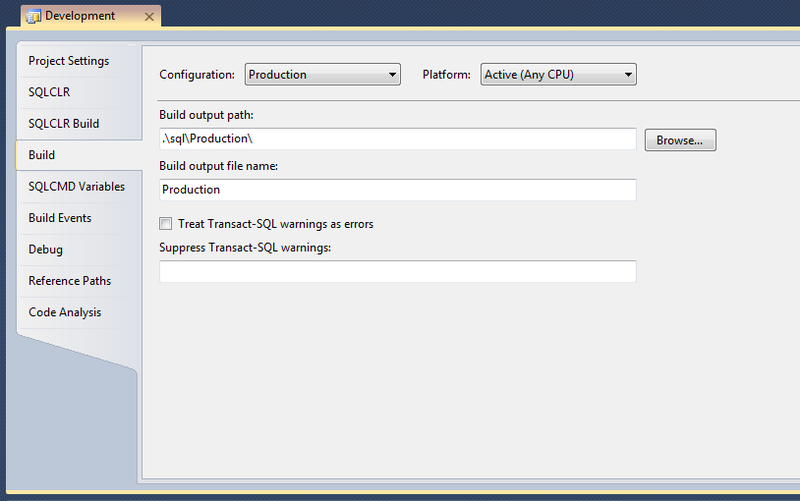 Now that have a SQL Server Data Source and our entity classes, we will create the RESTful web services. 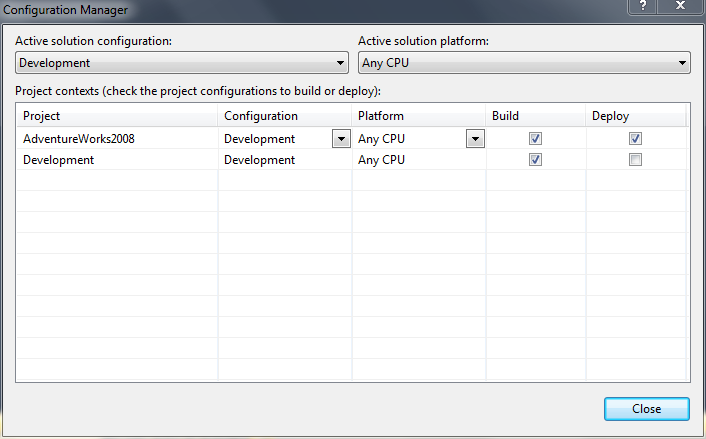 Right-click on the project and select ‘New’ -> ‘Other…’ -> ‘Persistence’ -> ‘RESTful Web Services from ‘Entity Classes’. You will see a list of four entity classes we just created, from which to choose. Add all four entity classes. 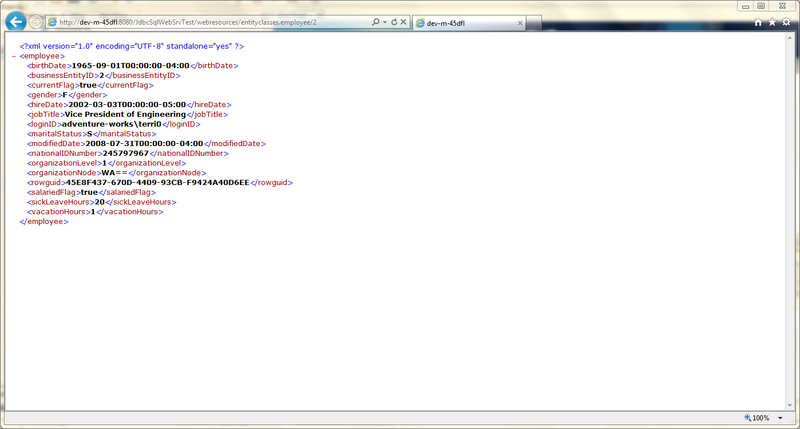 On the next screen, give a name for Resource Package to store the service classes in; I called mine ‘service’. 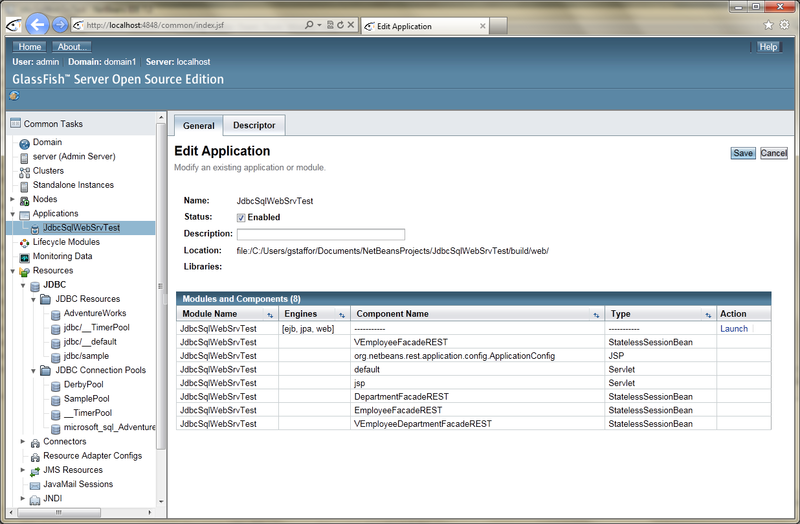 That’s it; you now have four RESTful web services and the corresponding Enterprise Beans and Façade service classes. 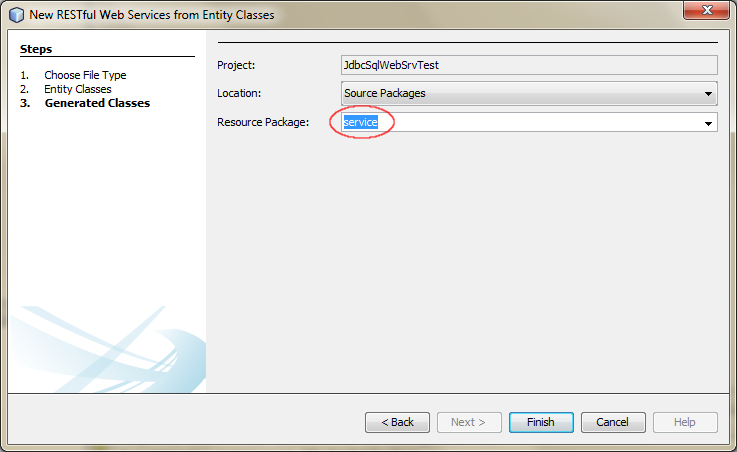 The service class sits between the RESTful web service and the entity class. Click finished. 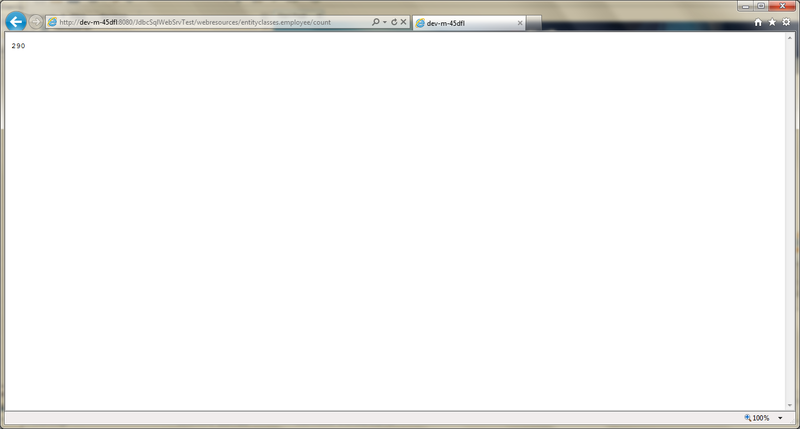 You have successfully created the RESTful web services. 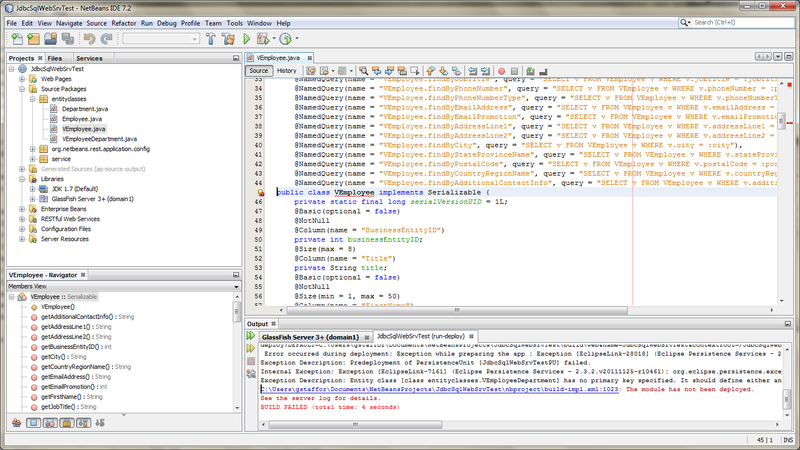 If you recall, I mentioned a problem with the two entity classes we created from the database views. 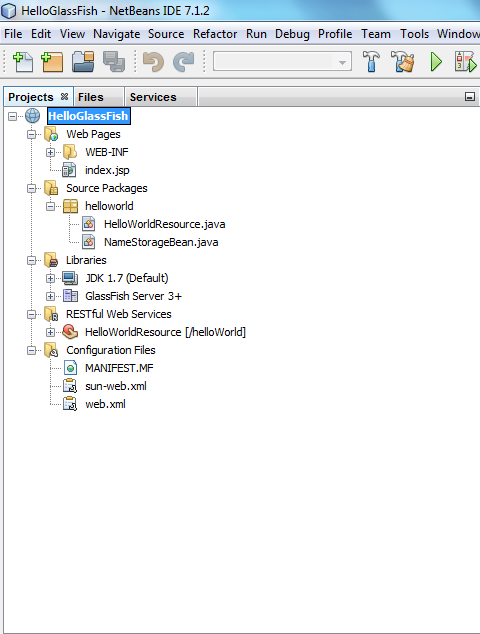 To avoid an error when you build and deploy your project to GlassFish, we need to make a small change to the VEmployee.java and VEmployeeDepartment.java entity classes. 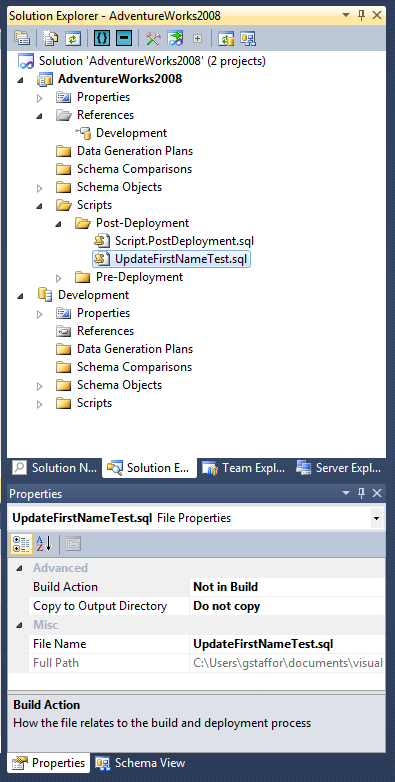 Entity classes need a unique identifier, a primary key (or, Entity ID) identified. 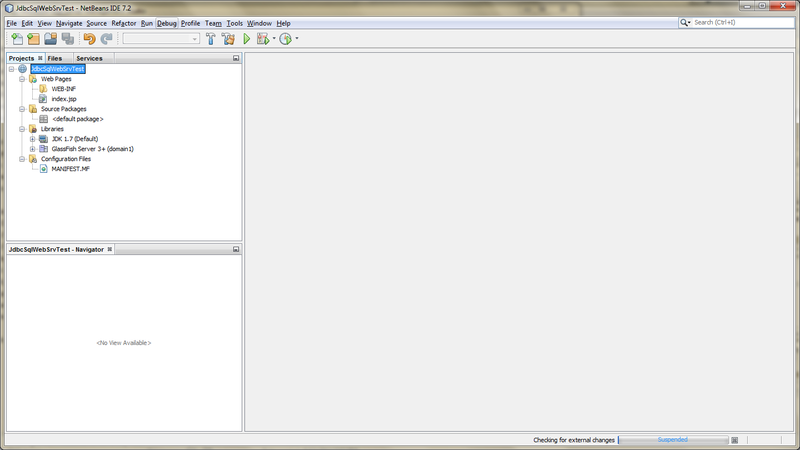 Since these two entity classes are built from database views, as opposed to database tables, they lack a primary key. 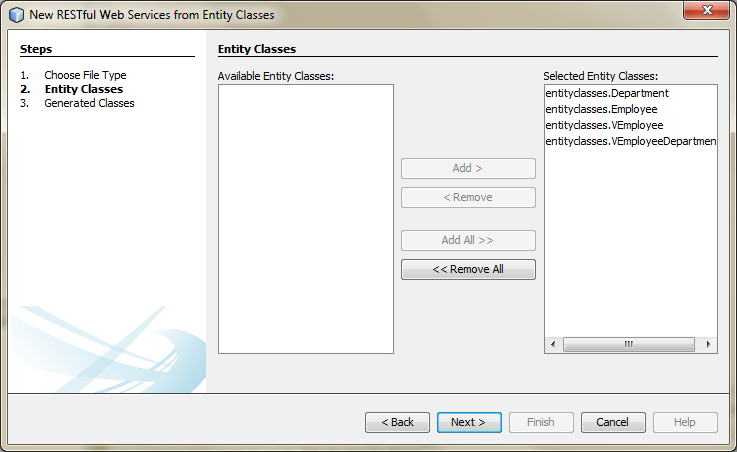 To fix this, annotate the ‘businessEntityID’ field with ‘@Id’ in each class. 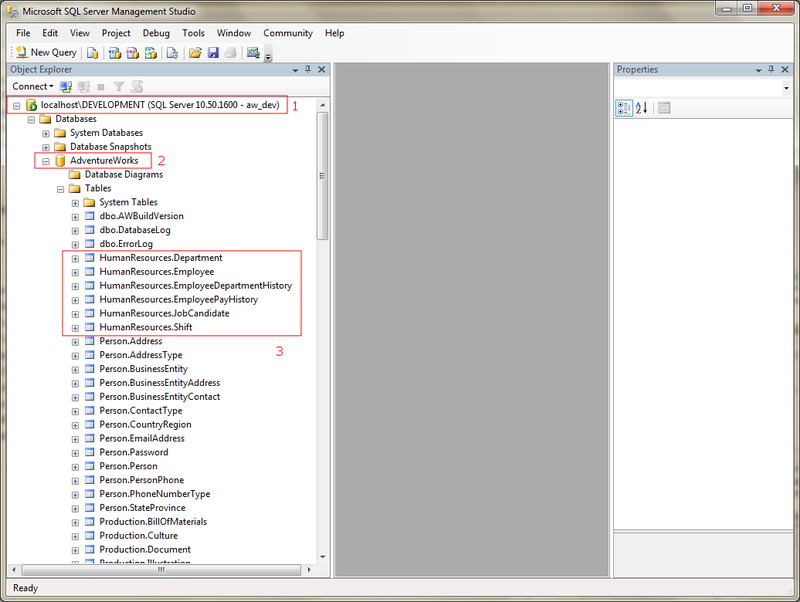 This indicates that ‘businessEntityID’ is the primary key (Entity ID) for this class. 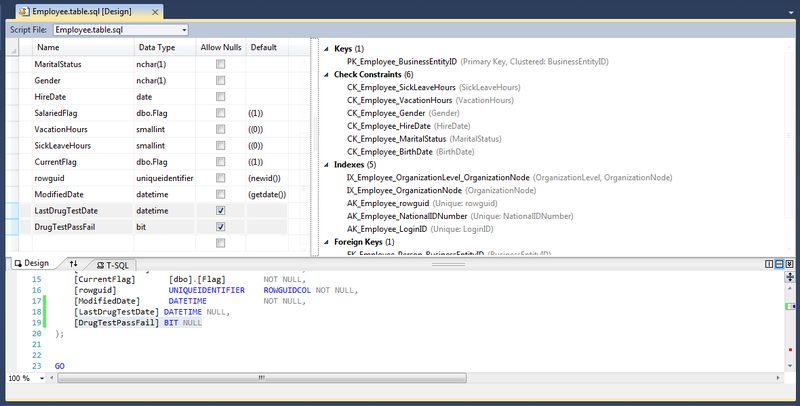 The field, ‘businessEntityID’, must contain unique values, for this to work properly. 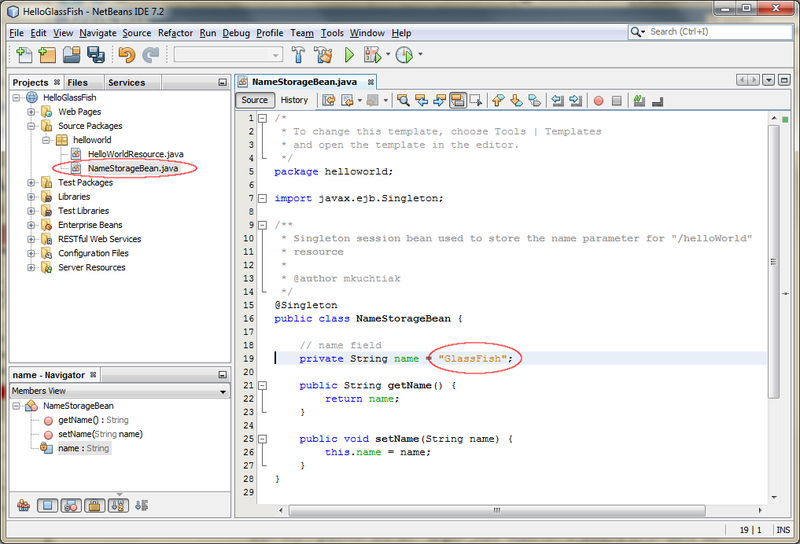 NetBeans will make the suggested correction for you, if you allow it. 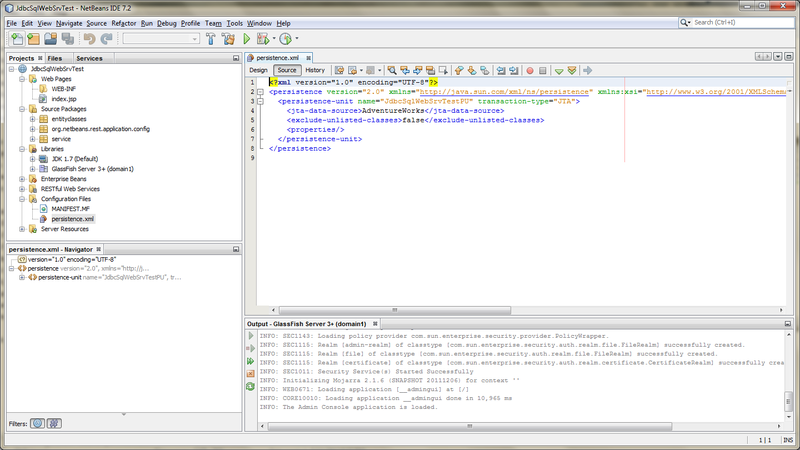 NetBeans provides an easy way to test the RESTful web services, locally. 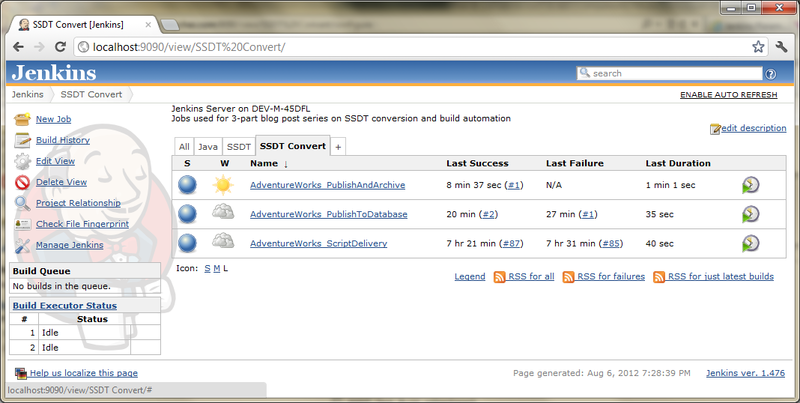 Right-click on the ‘RESTful Web Services’ project folder within the main project, and select ‘Test RESTful Web Services’. 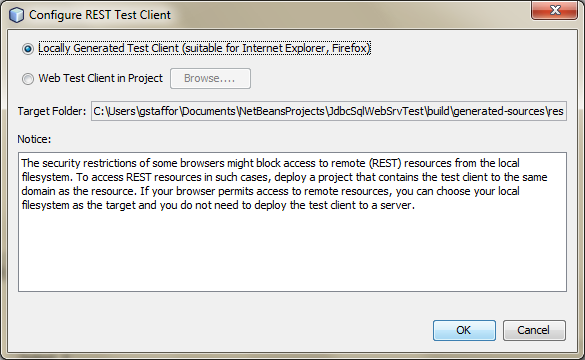 Select the first option, ‘Locally Generated Test Client’, in the ‘Configure REST Test Client’ pop-up window. 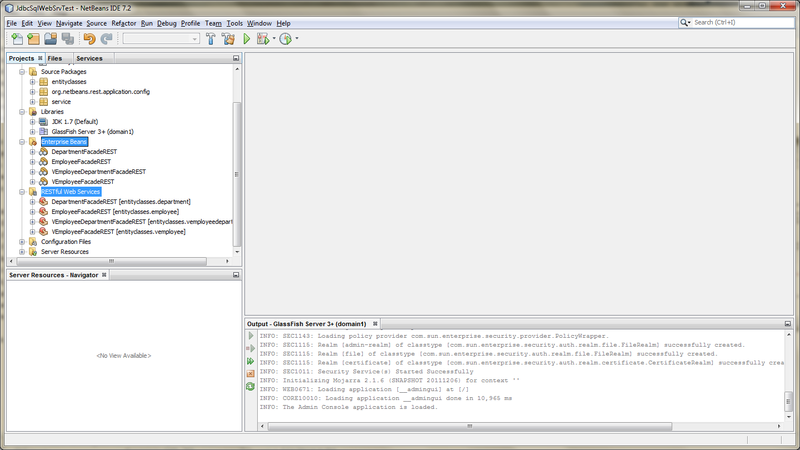 NetBeans will open a web browser window and displays the RESTful URI (Universal Resource Identifier) for the services in a tree structure. There are four primary URIs, corresponding to the four services. Each primary URI has additional child URIs grouped under them. Are they URIs or URLs? I found this excellent post that does a very good job explaining the difference between the URL (how to get there) and the URI (the resource), which is part of the URL. 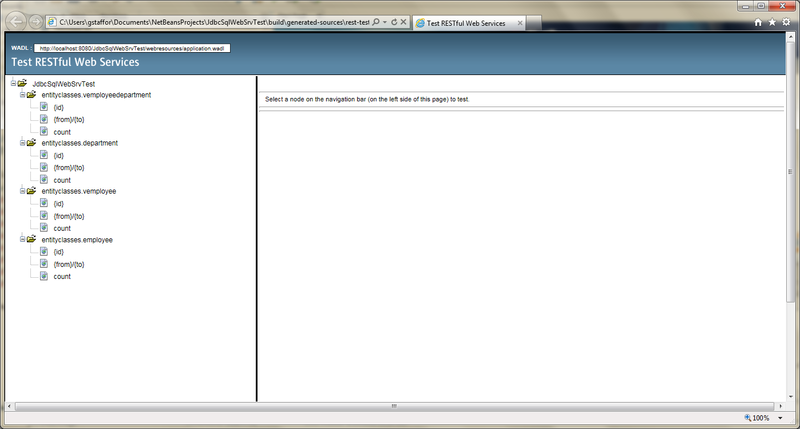 Click on the ‘entityclasses.employee’ URI. 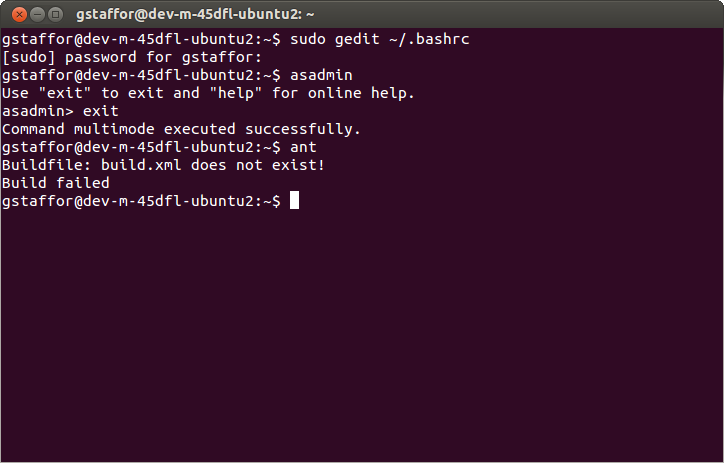 Choose the HTTP ‘GET()’ request method from the drop-down and click the ‘Test’ button. 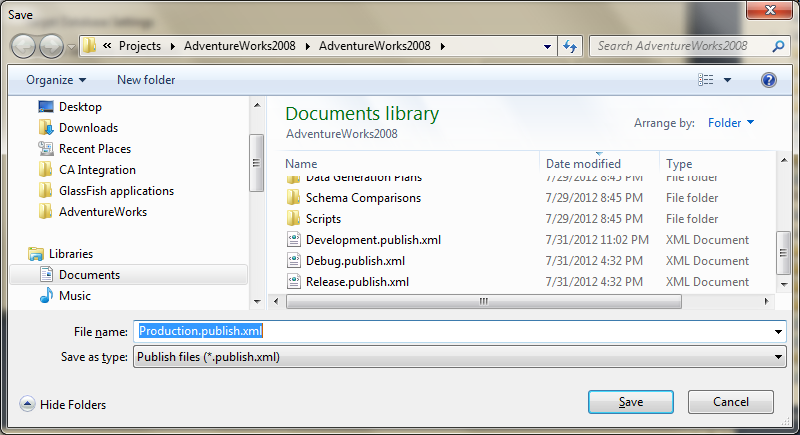 The service should return a status of ‘200 (OK)’, along with xml output containing information on all the Adventure Works employees. 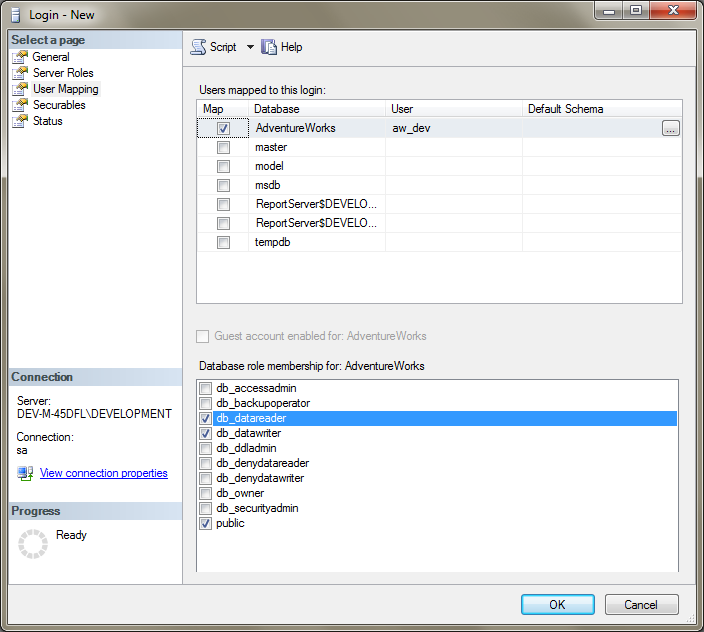 Congratulation, the RESTful web services have just returned data to your browser from the SQL Server Adventure Works database, using the entity classes and data source you created. Click on the other URIs to familiarize yourself with the various default resources. 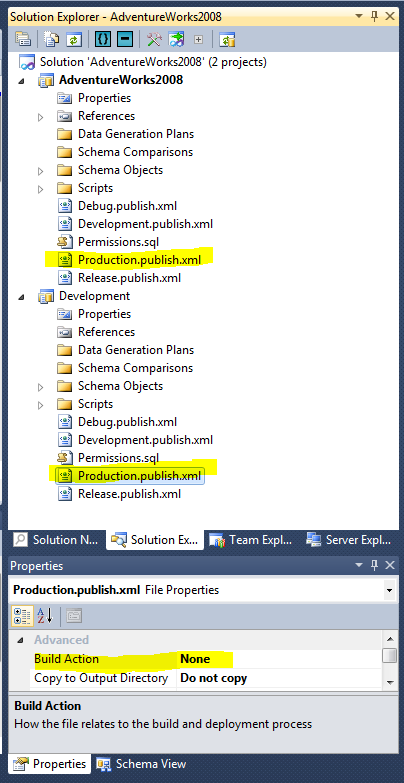 Test the employee ‘from/to’ URI by inputting two parameters, test the ‘count’ URI, and try changing the MIME type where applicable from XML to JSON and observe the results. 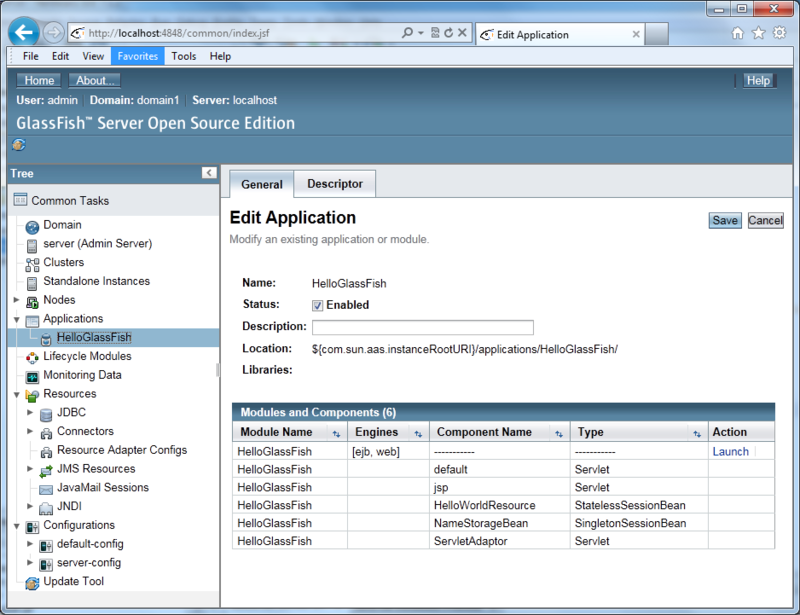 The WADL (Web Application Description Language) file is the machine-readable XML description of the RESTful web service(s). The WADL file is to RESTful web services, as the WSDL (Web Service Definition Language) file is to non-RESTful, SOA-/SOAP-oriented web services. 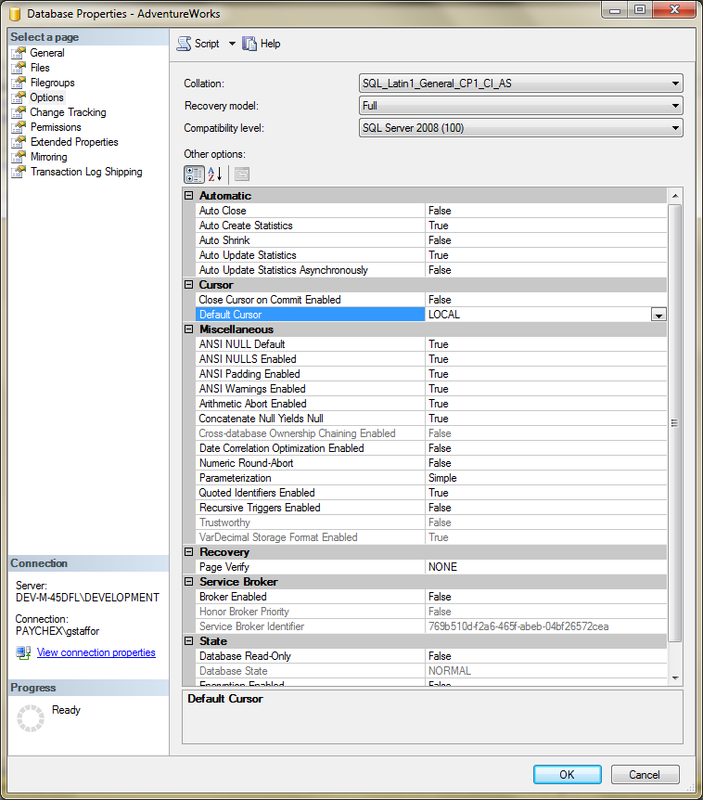 The WADL provides all the information you need to understand to the various RESTful web service’s resources, and how to call them using their URIs. According to Wikipedia, in the WADL file, ‘the service is described using a set of resource elements. Each resource has param elements to describe the inputs, and method elements which describe the request and response of a resource. 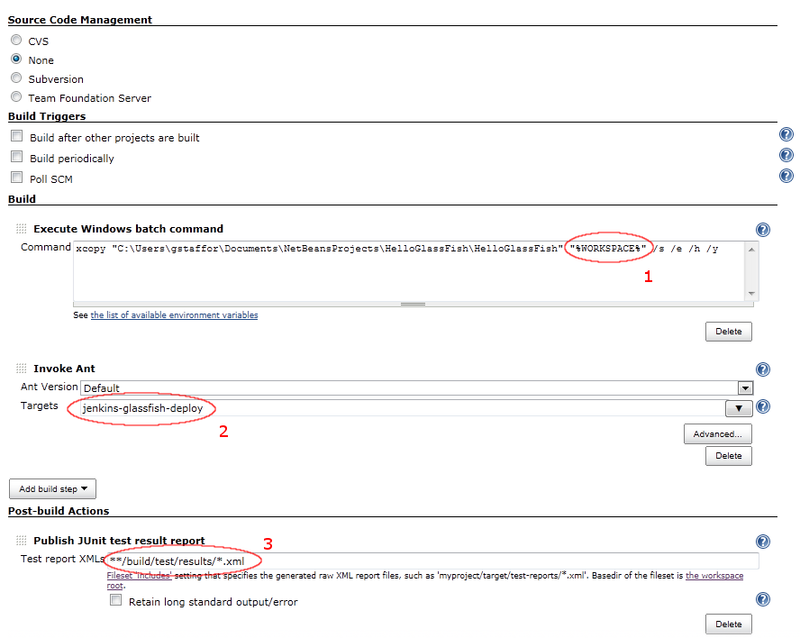 The request element specifies how to represent the input, what types are required and any specific HTTP headers that are required. The response describes the representation of the service’s response, as well as any fault information, to deal with errors.’ You can download the WADL file (application.wadl), and review it in an XML-friendly viewer such as Notepad++. 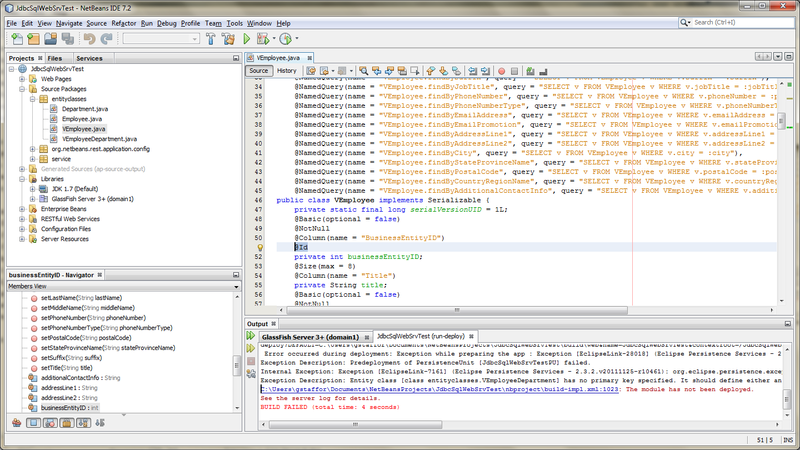 Now that the RESTful web services are working properly from within NetBeans, we can deploy them to GlassFish. 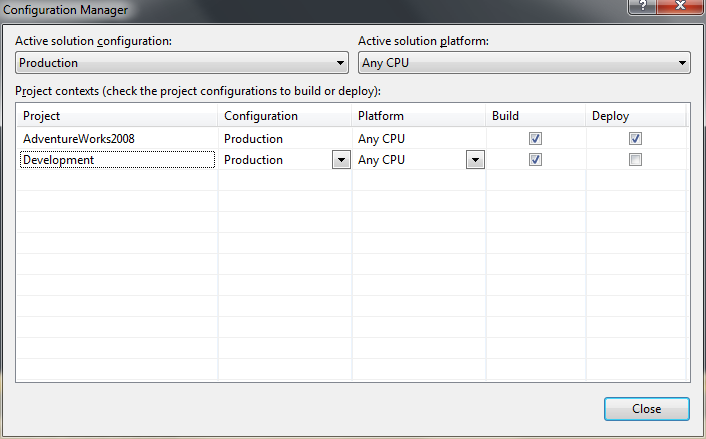 To deploy the project to GlassFish, right-click on the main project icon in the Projects tab and select ‘Clean and Build’. 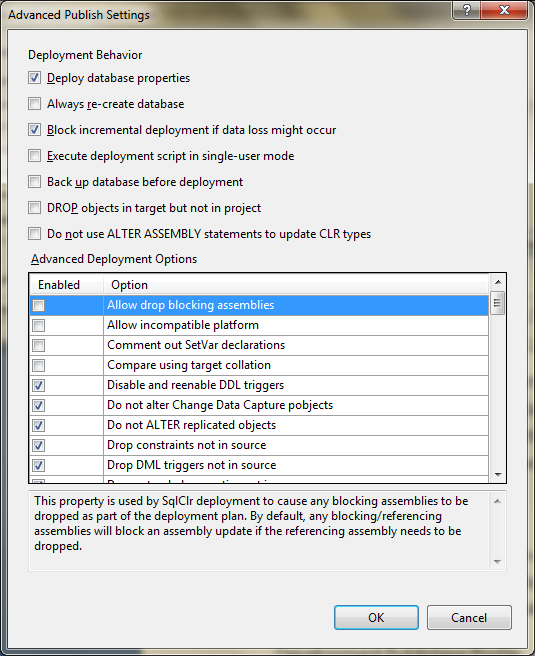 Once the project builds successfully, right-click again and select ‘Deploy’. 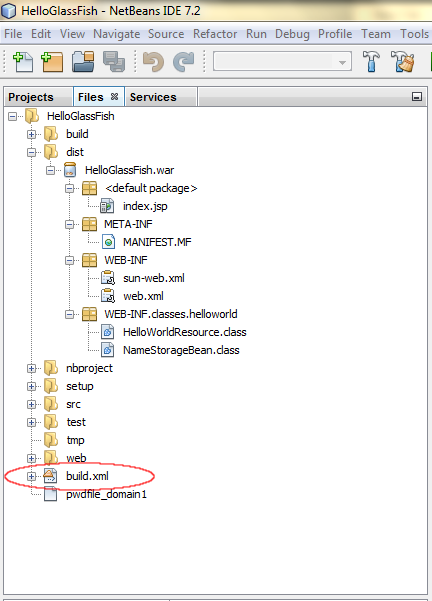 This will instruct Apache Ant to deploy the project as a .war file to GlassFish, using the project’s default Ant deploy task. 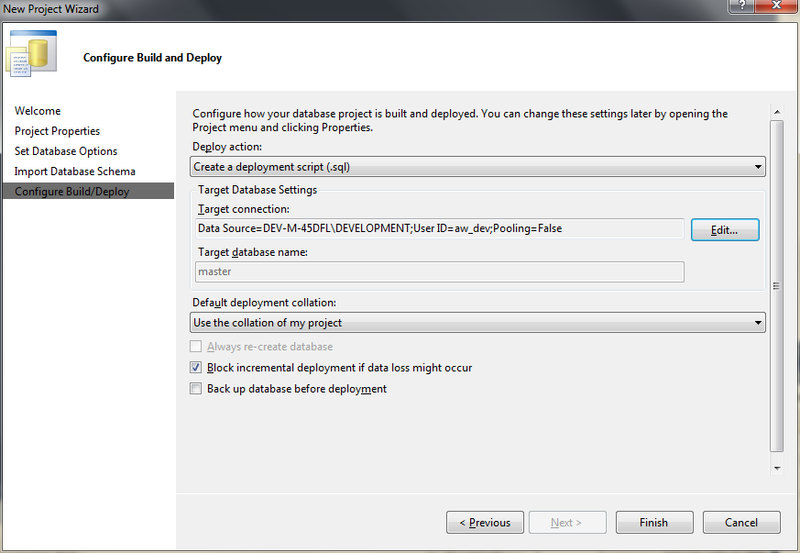 The SQL Server data source will also be installed into GlassFish. 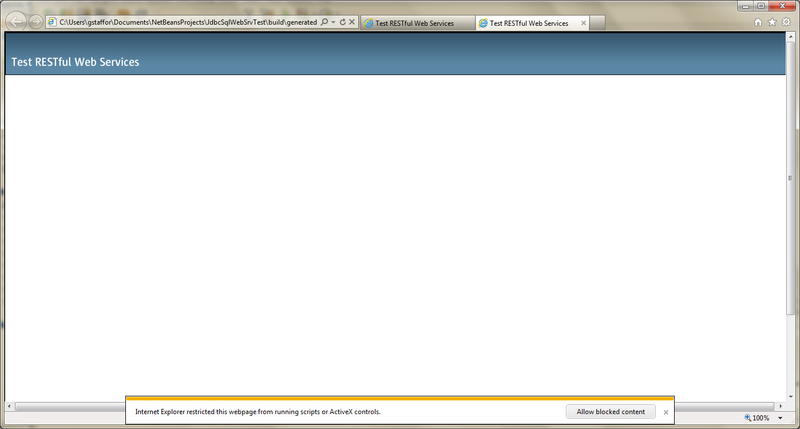 Once the deployment is complete, switch to GlassFish and refresh the home page if necessary. 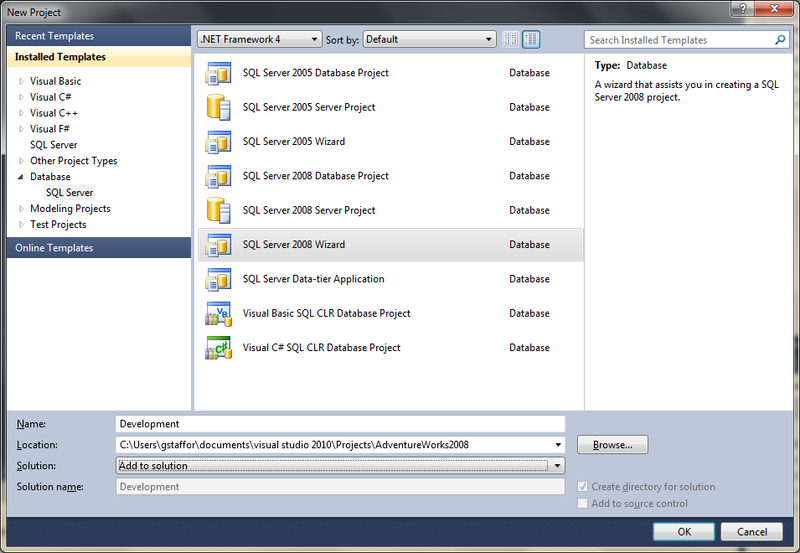 Under the ‘Applications’ item on the left-hand navigation menu, you should see a new application with the same name as your project, ‘JdbcSqlWebSrvTest’. 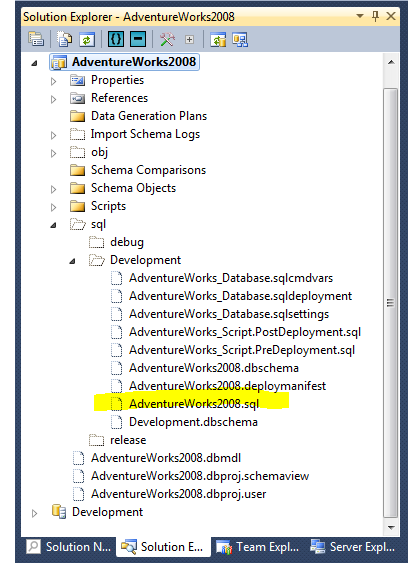 Also, under the ‘JDBC’ -> ‘JDBC Resources’ item, you should see a resource with the same name as the data source you created in NetBeans, ‘AdventureWorks’. 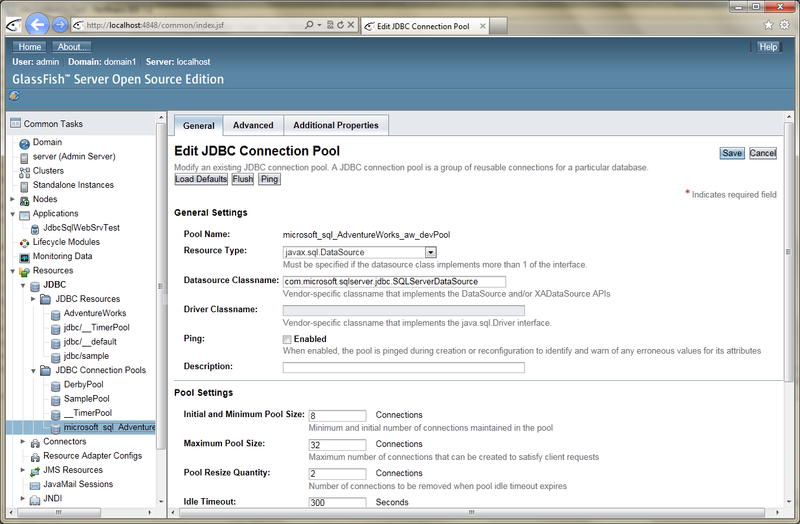 Under the ‘JDBC’ -> ‘JDBC Connection Pools’, you should see a pool entitled ‘microsoft_sql_AdventureWorks_aw_devPool’. 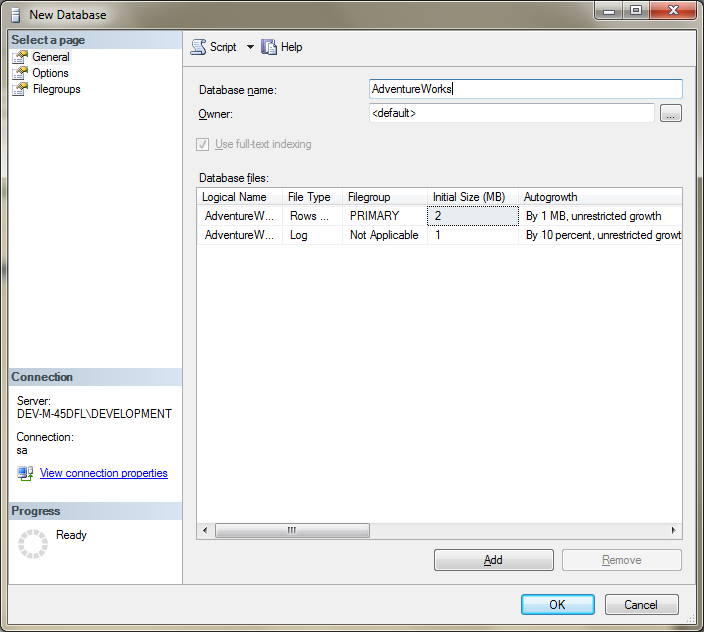 The JDBC Resource, ‘AdventureWorks’, is linked to this pool. 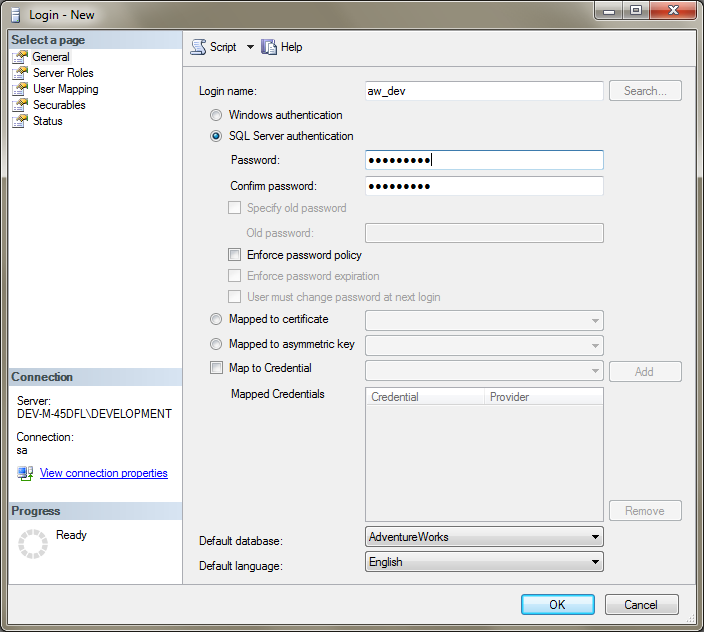 The pool is a ‘javax.sql.DataSource’ resource type, which references the ‘com.microsoft.sqlserver.jdbc.SQLServerDataSource’. 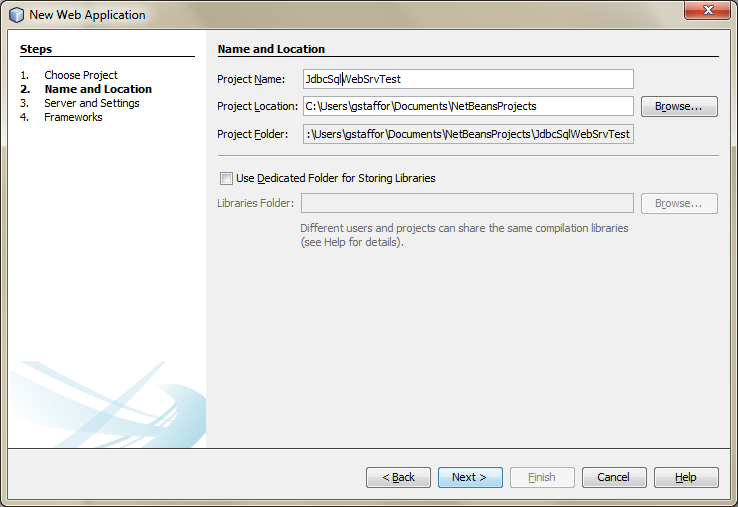 This data source is identical to the data source you built in NetBeans. 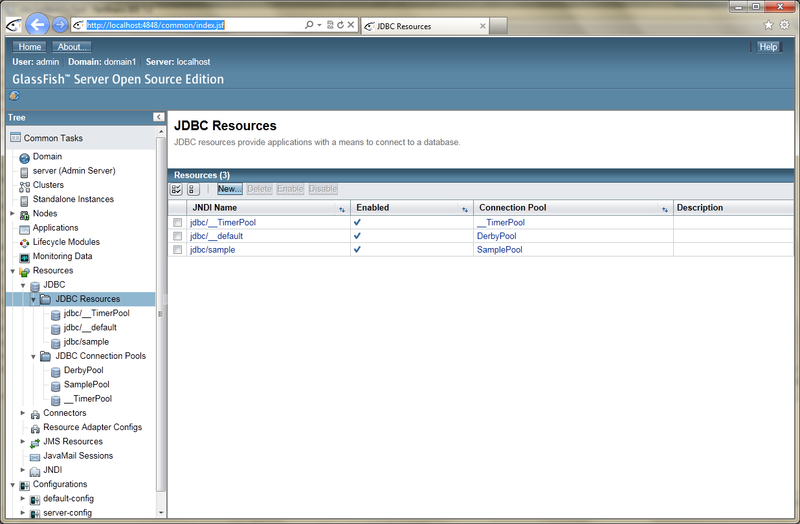 To test the RESTful web services from GlassFish, begin by clicking on the ‘JdbcSqlWebSrvTest’ application, under ‘Applications’ menu item. 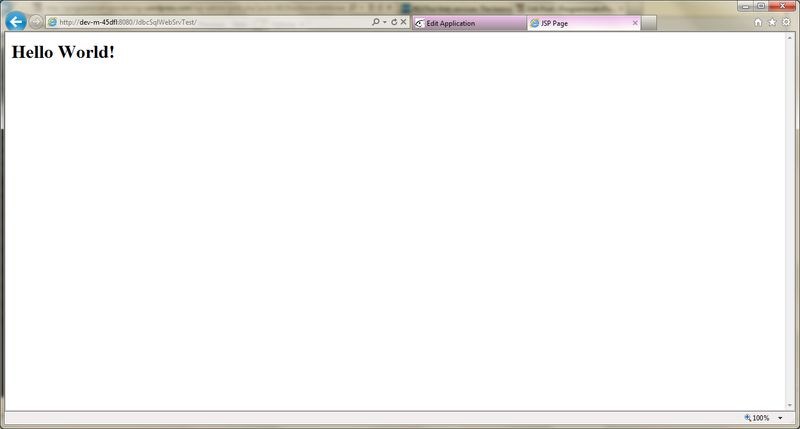 On the Applications page, click on the ‘Launch’ action link. 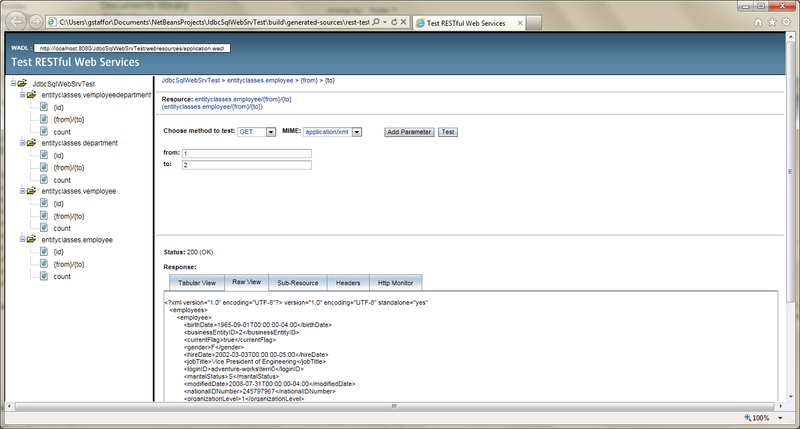 GlassFish open a new web browser window, and presents you with two ‘Web Application Links’, one link is HTTP and the other, HTTPS. Click on the HTTP link. 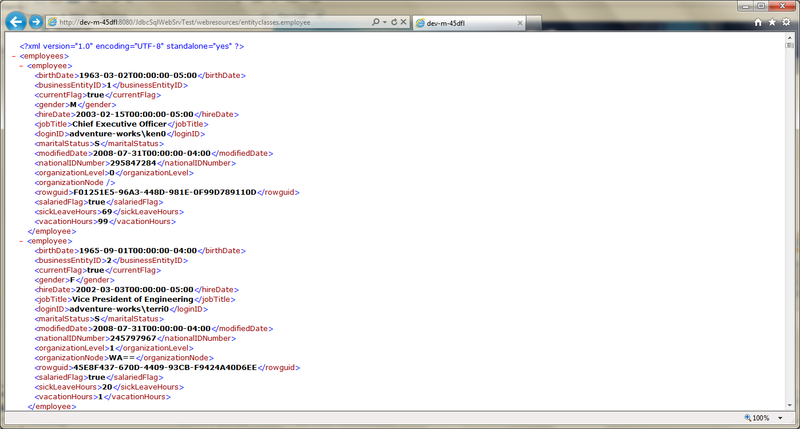 This should display the default index.jsp page’s ‘Hello World!’ message. 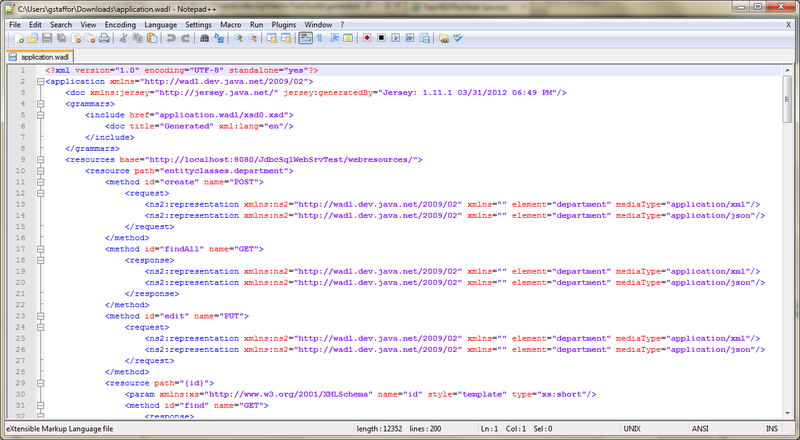 This URI should return the same xml content you observed when testing this same URI locally in NetBeans. 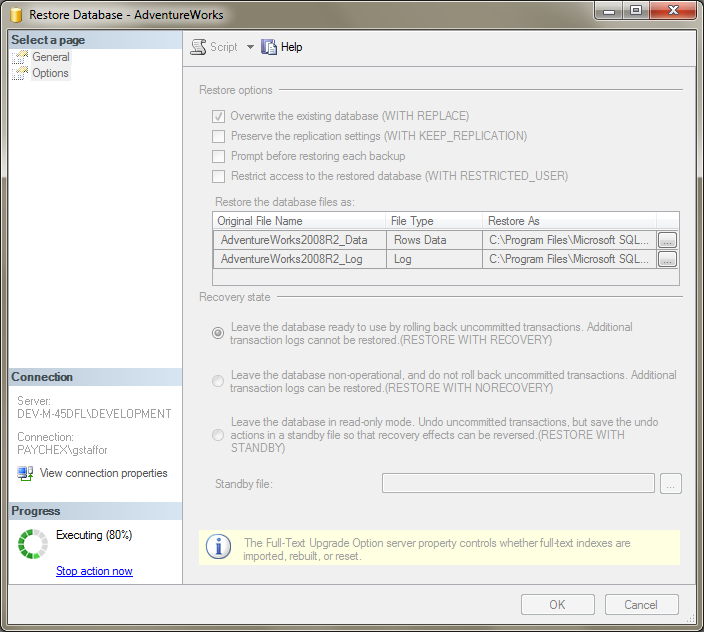 This should cut the amount of data returned from the Adventure Works database to a single employee record. This time, you should see a single integer returned to the browser, representing the count of all employees in the database’s employee table. 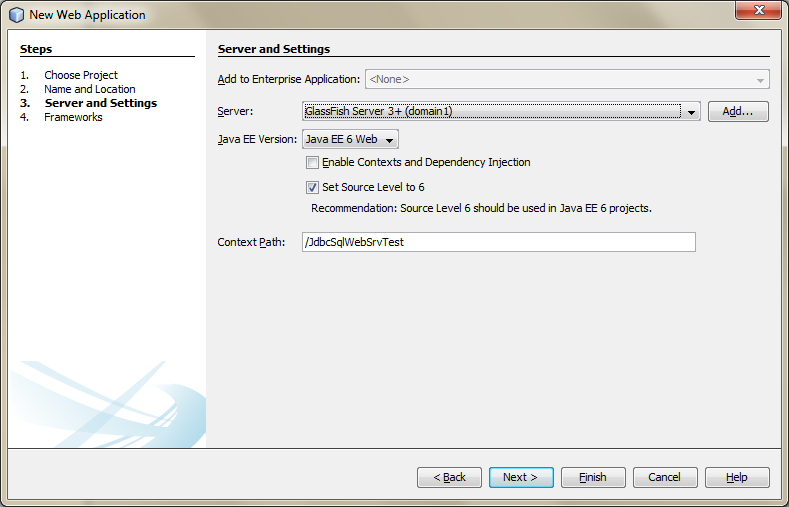 Congratulations, the Java EE RESTful web services have been successfully deployed to GlassFish. 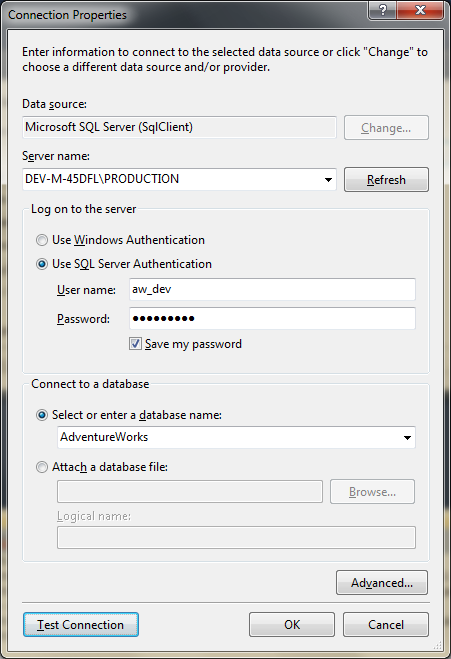 The services are connecting to Adventure Works SQL Server database, through the entity classes and data source, and returning data to your web browser! 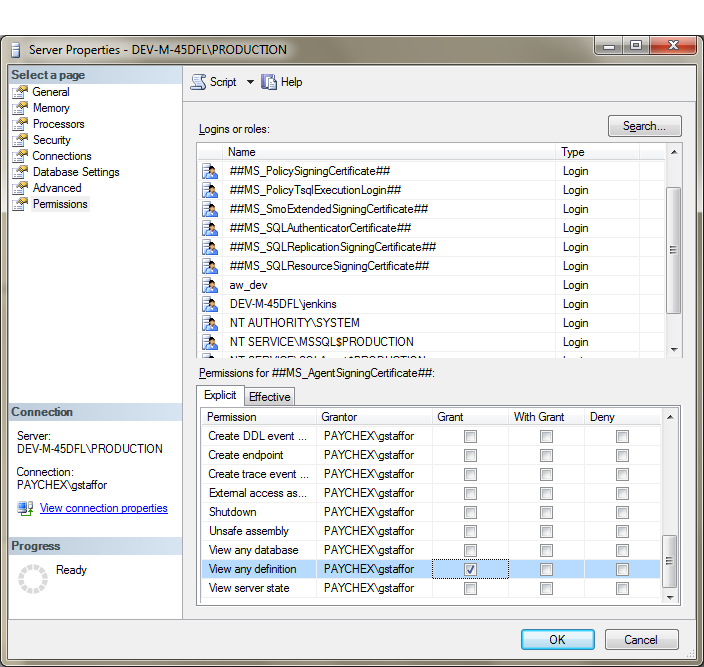 Next step is to create a RESTful web services client application, to display the data returned by the services and/or to perform CRUD operations on the database.